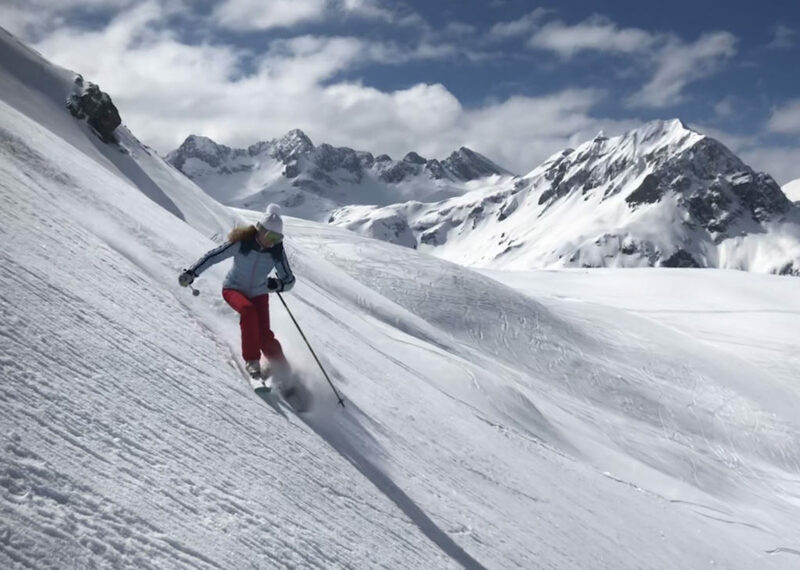 We love skiing The Alps, it’s not just a sport, it’s a lifestyle. 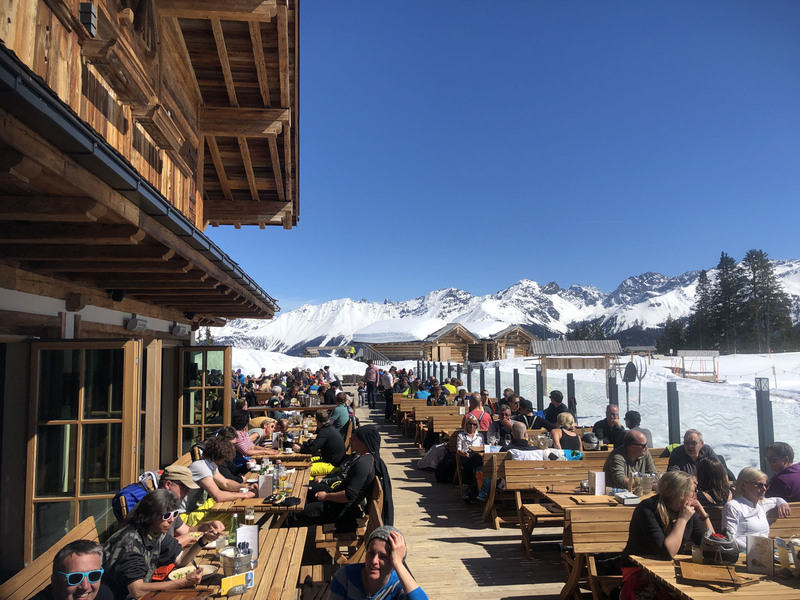 This is where alpine skiing originated, and it is is celebrated every day from long vertical runs from stunning high peaks, to cozy mountainside chalets serving homemade food and schnapps, to après ski drinks and dancing in historic ski villages. 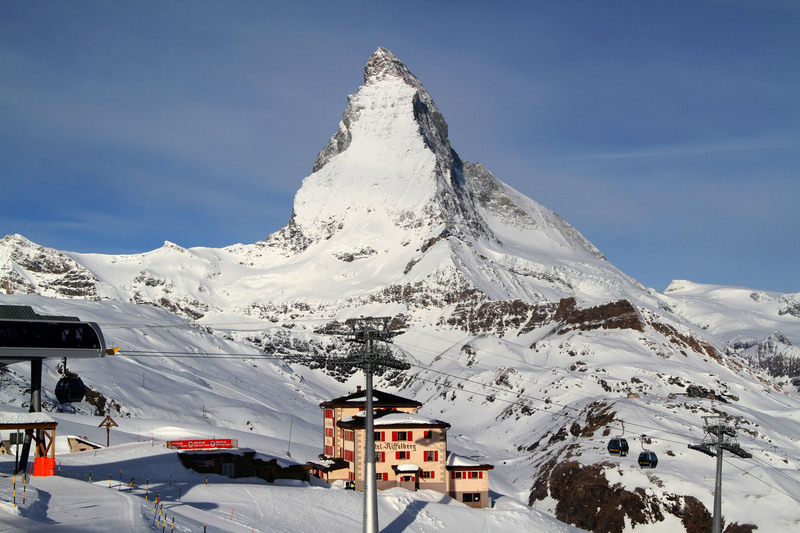 Here are our favorite ski resorts in Austria, France, Switzerland and Italy. 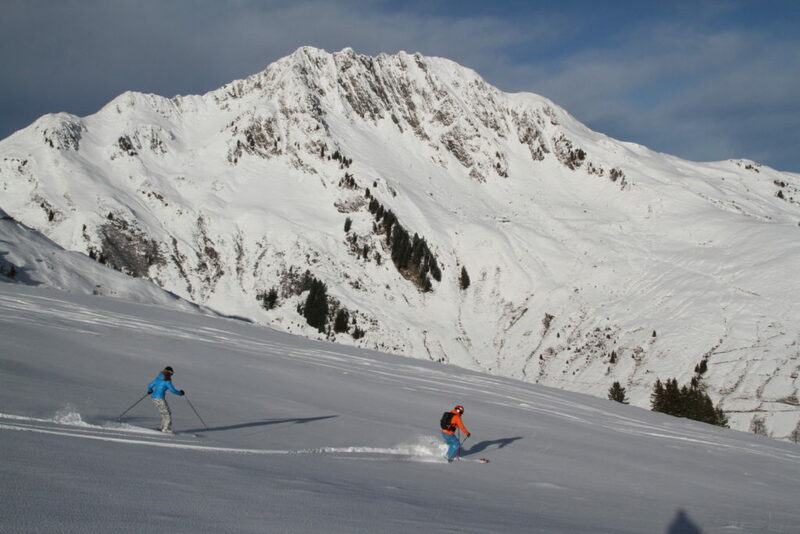 St. Anton Austria is in the heart of the beautiful mountainous Arlberg region. 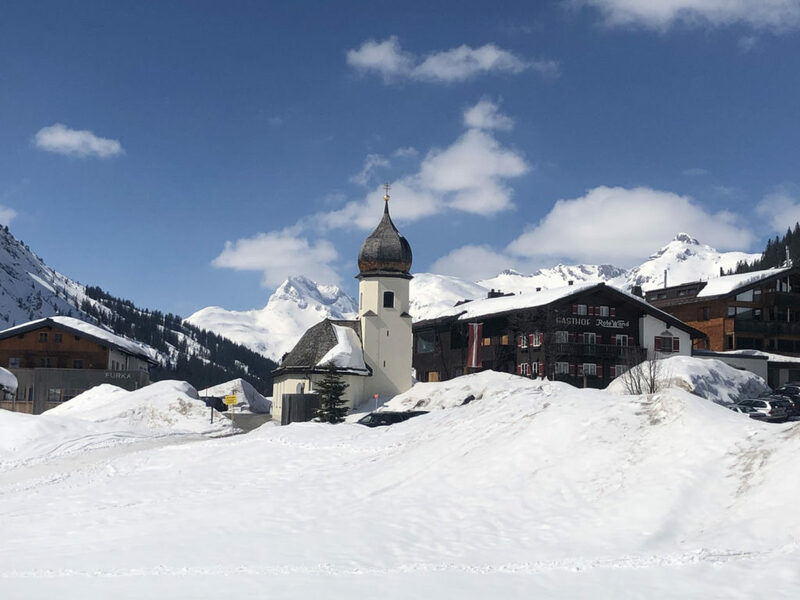 A classic alpine ski village sits at the base of this vast ski resort, you can ski on multiple peaks, village to village – Stuben to St Christoph and beyond to Lech Zurs and Warth – eight spectacular ski regions. 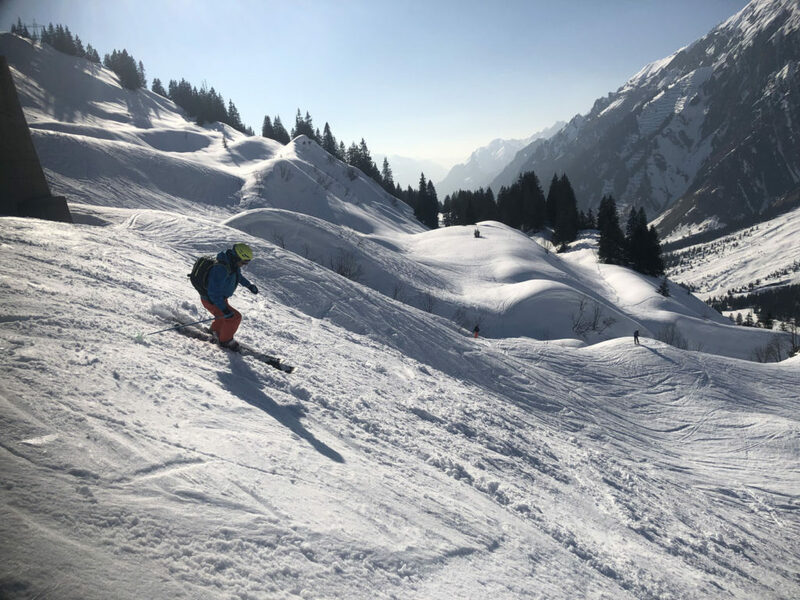 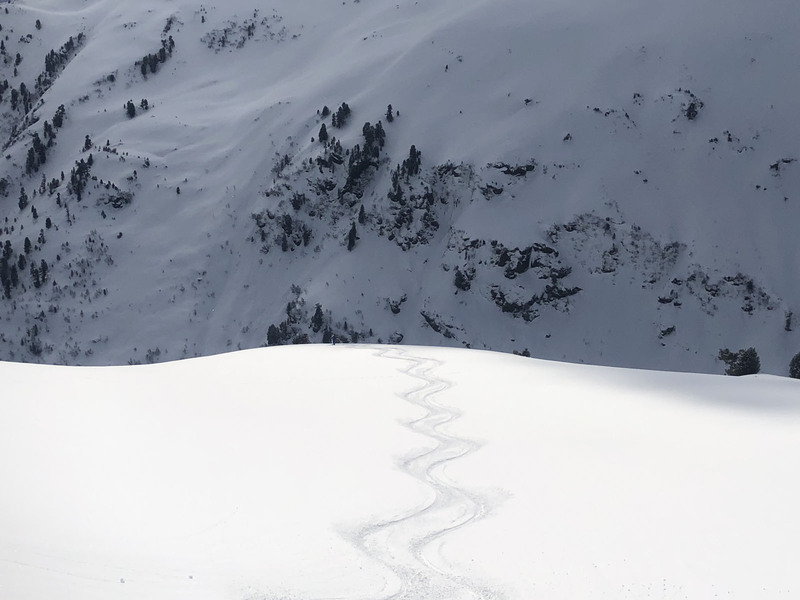 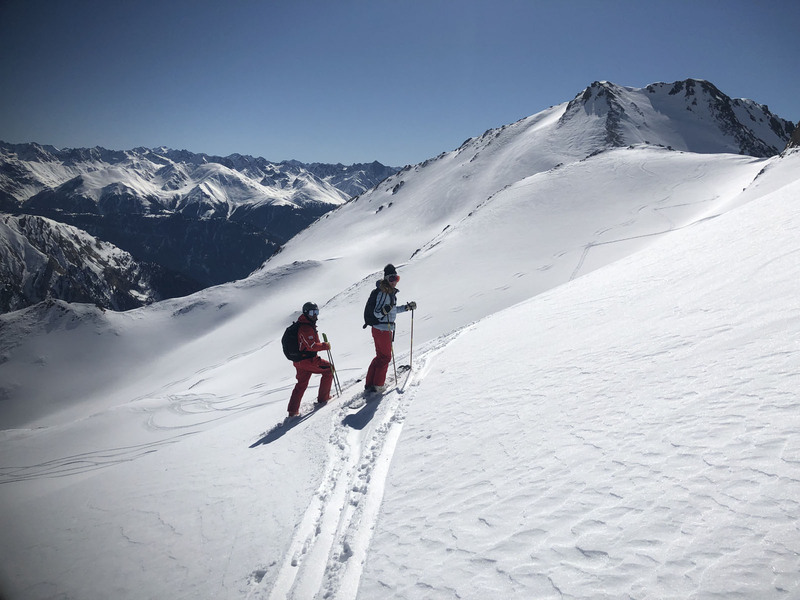 Skiing can be well-groomed and gorgeous or steep and wild off-piste (hire a guide) from the 9,222′ Valluga summit – the highest peak in The Arlberg. 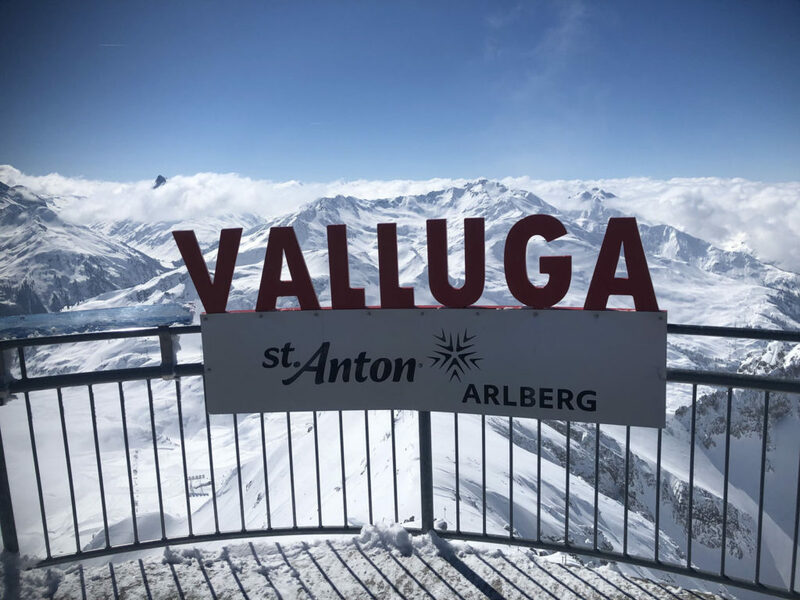 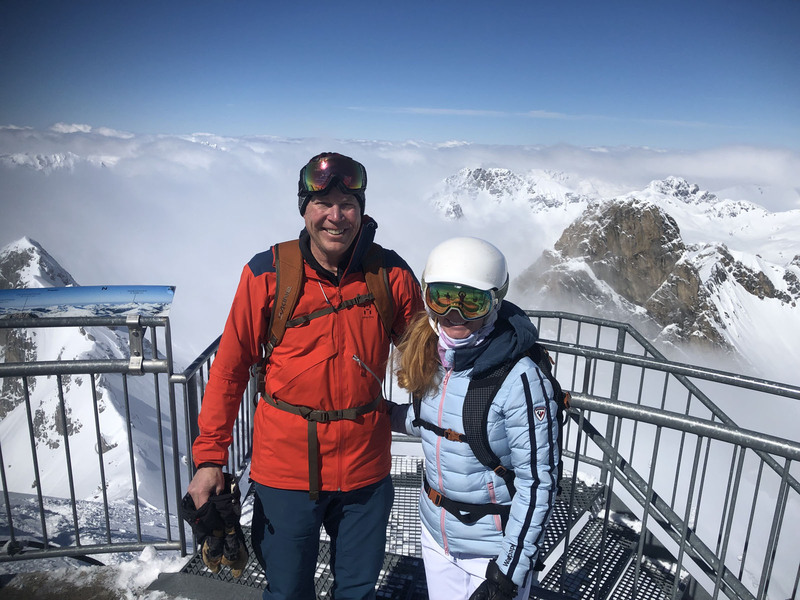 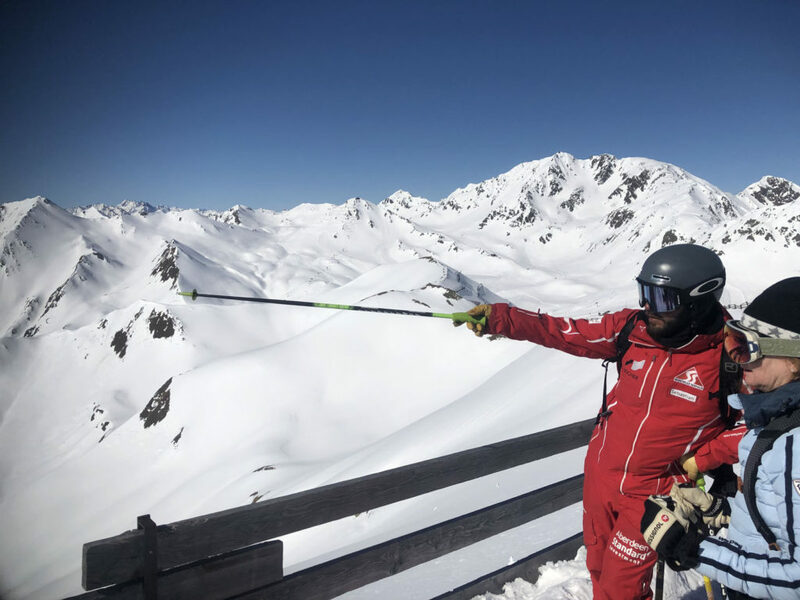 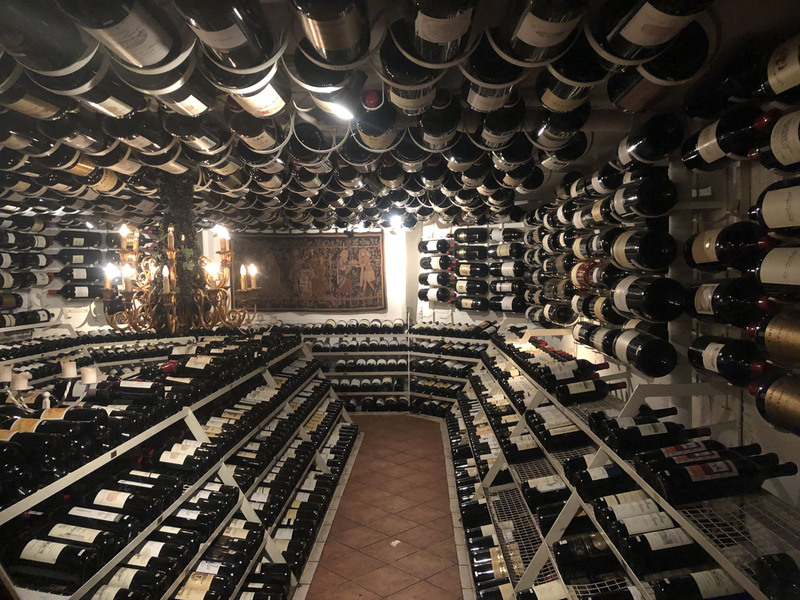 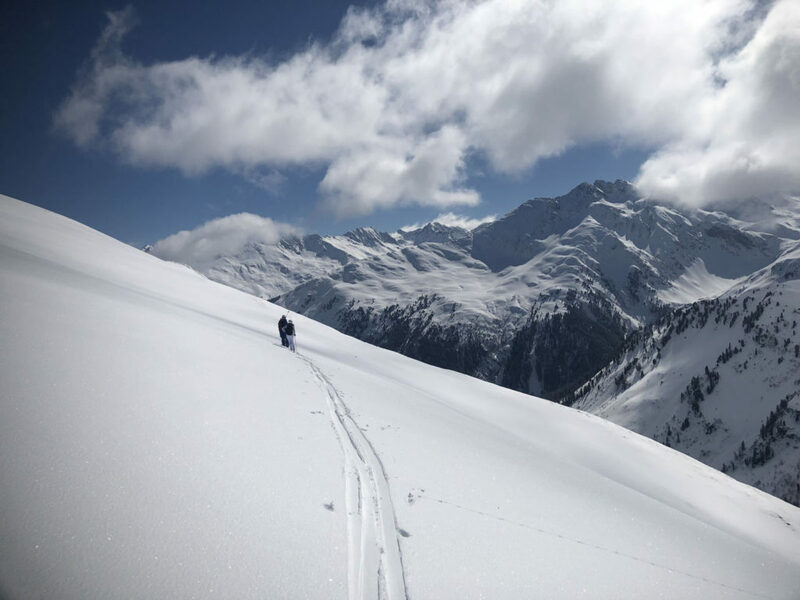 St Anton skiing has a big 4,944′ vertical, excellent ski school and guide services, plus great on mountain chalets and après ski for parents, and 4 star family-friendly hotels like Valluga and Hotel Bergschlossl. 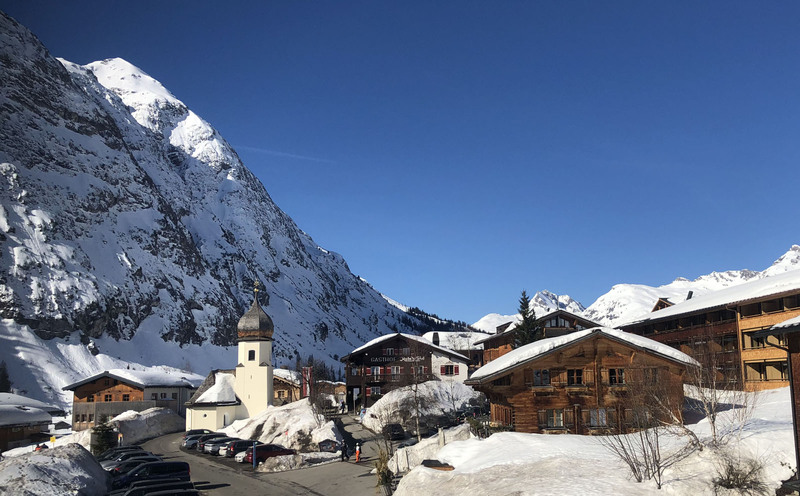 Stuben is a quainter quieter alpine village in the Arlberg – all interconnected by 88 modern lifts. 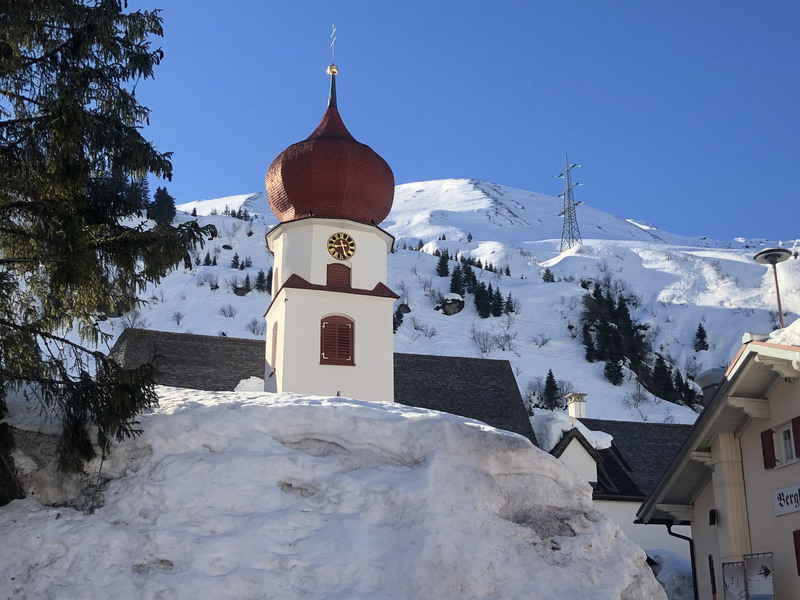 Lech Zurs is another classy Arlberg ski town with loads of family-friendly terrain on both sides of the beautiful valley. 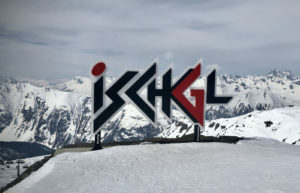 Ischgl in the Paznaun valley is a wonderful mix of modern ski lifts and terrain and authentic village. 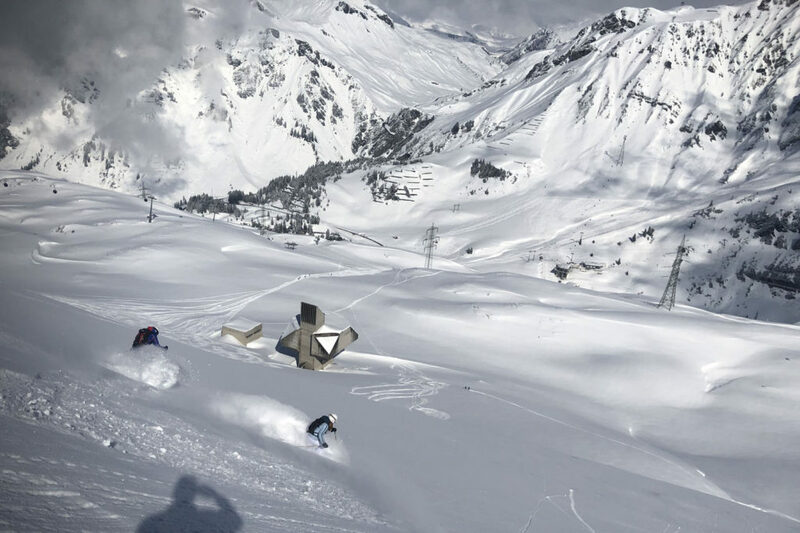 Ischgl’s huge ski terrain crosses the border into Samnaun Switzerland on the same lift ticket, and the village’s après ski is legendary. 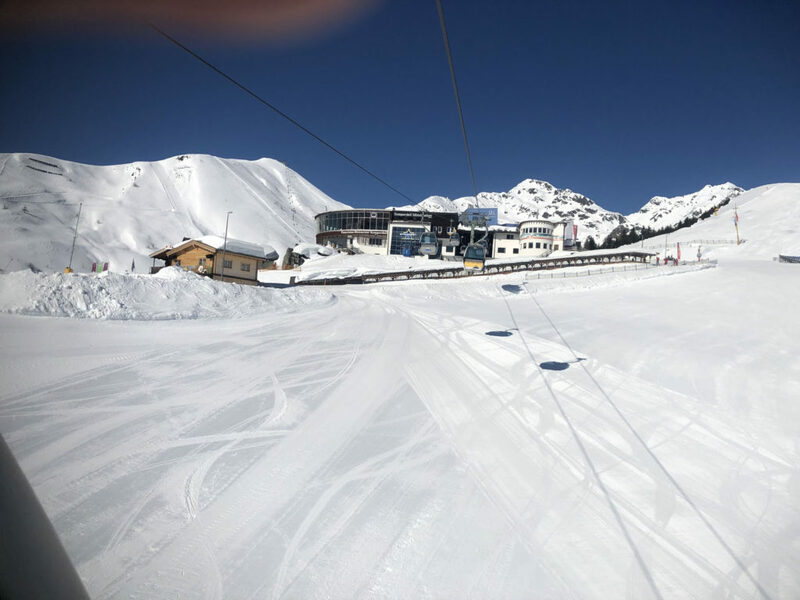 Lovely four and five star hotels line the lively village of Ischgl, which is both historic and chic. 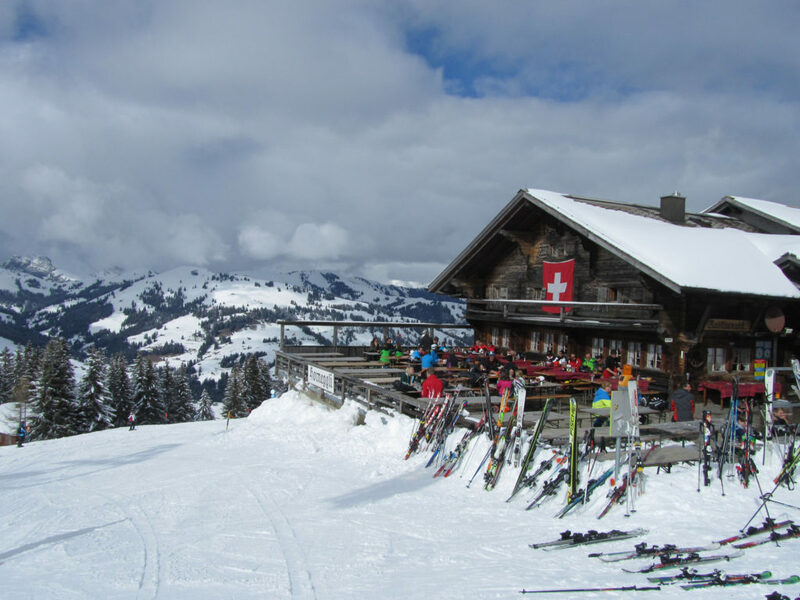 Kitzbühel Austria is the oldest and most authentic ski resort in Europe. 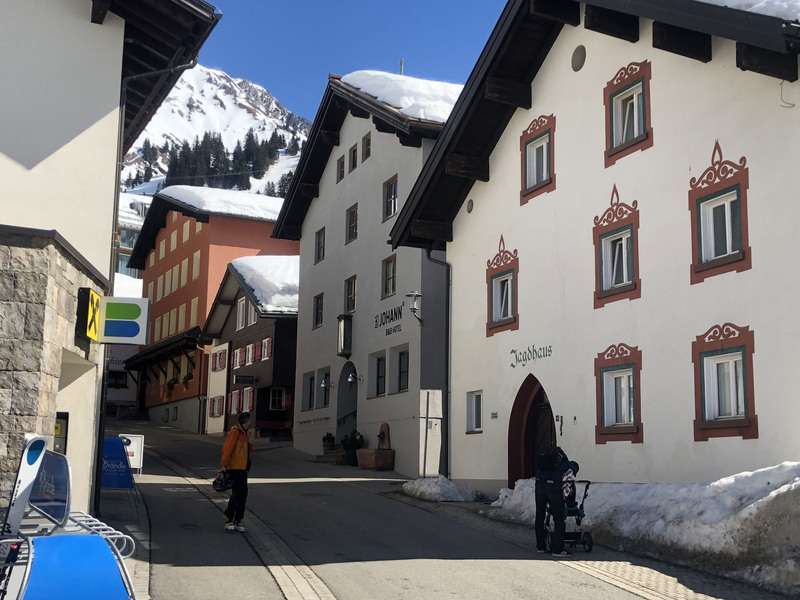 A family ski holiday in Kitzbühel promises big mountain skiing, though not super high in elevation, 6,549’, cozy chalet hotels, and an historic village to explore après ski. 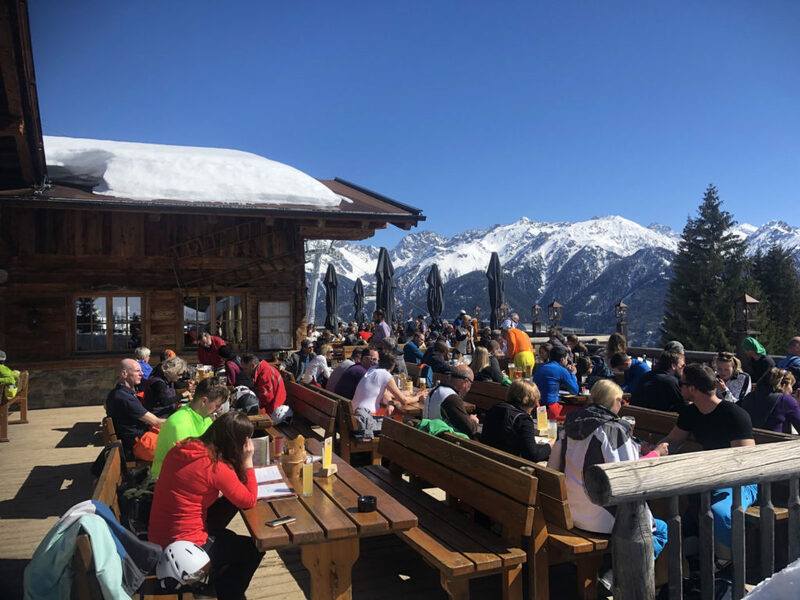 Kitzbühel’s three mountains provide plenty of prepared trails, classic chalet lunches, gorgeous scenery, plus some gently sloped off-piste, and excellent ski schools – including the original Red Devils. 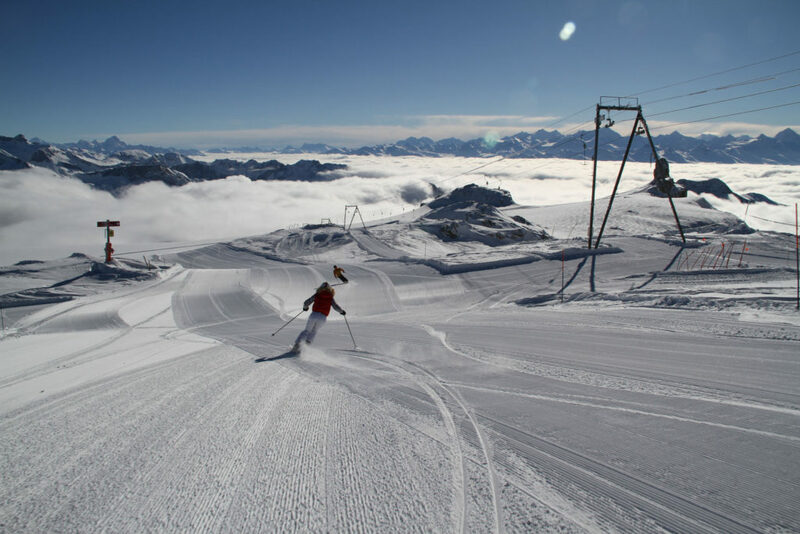 Kids will love skiing the Hahnenkamm downhill course – the Streif, like a pro ski racer. 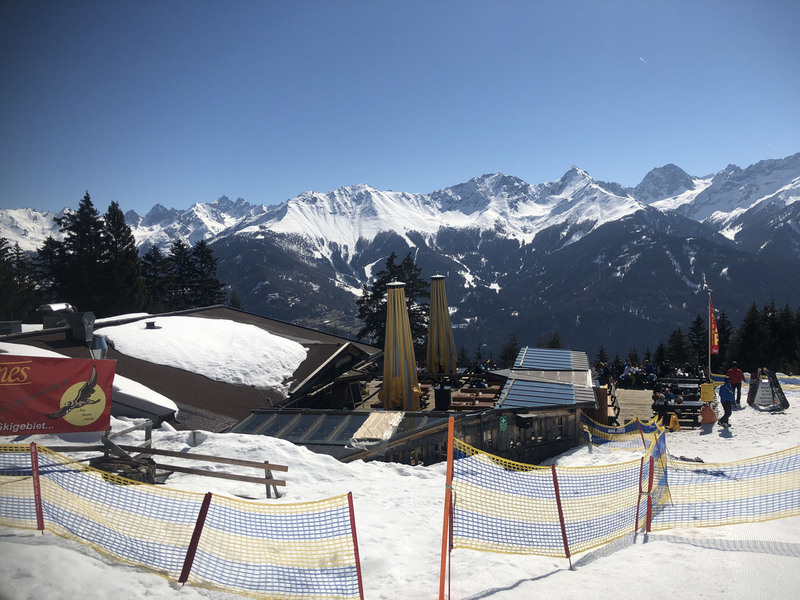 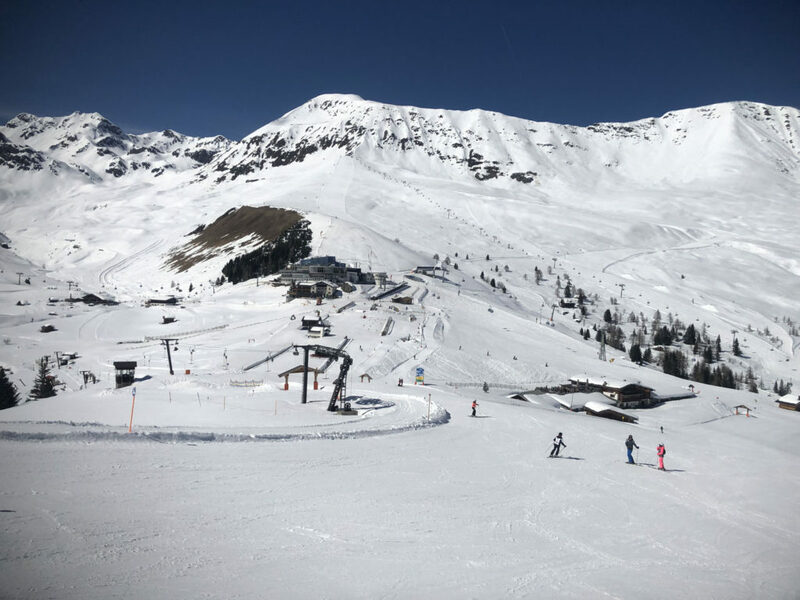 Serfaus Fiss Ladis is a tremendous ski resort of three alpine villages connected via 68 modern lifts, very family-friendly, scenic, with superb on-mountain dining, excellent kids ski school, and beautiful slopeside hotels in Serfaus and Fiss. 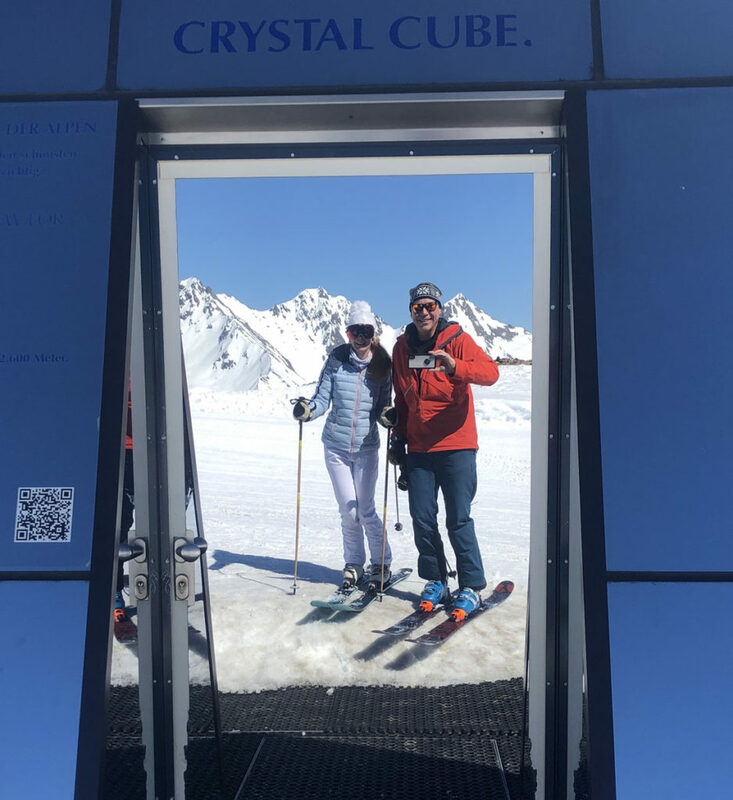 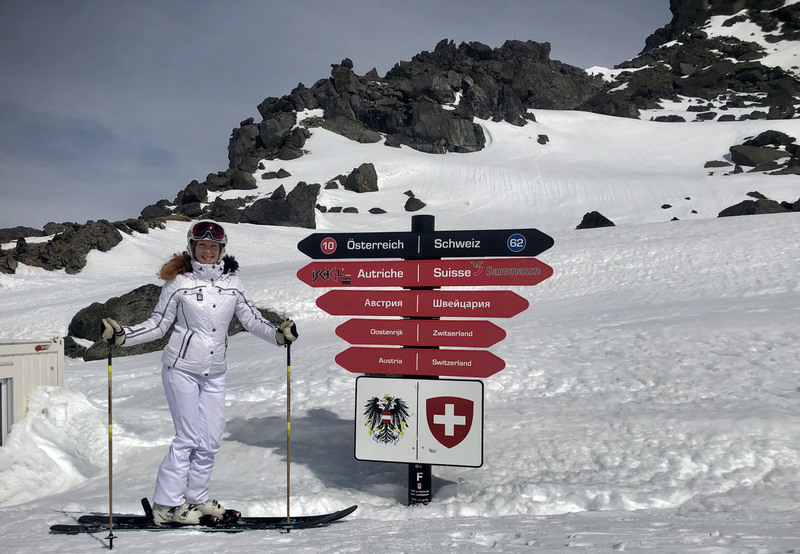 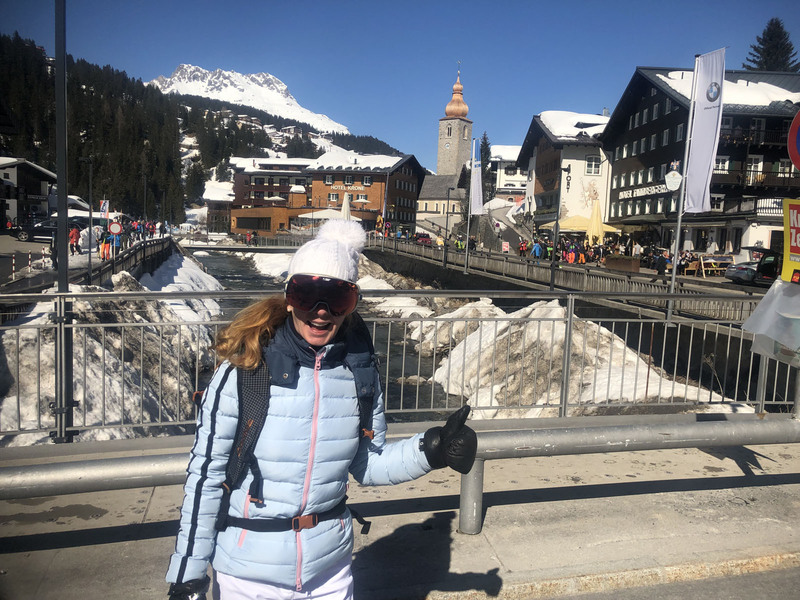 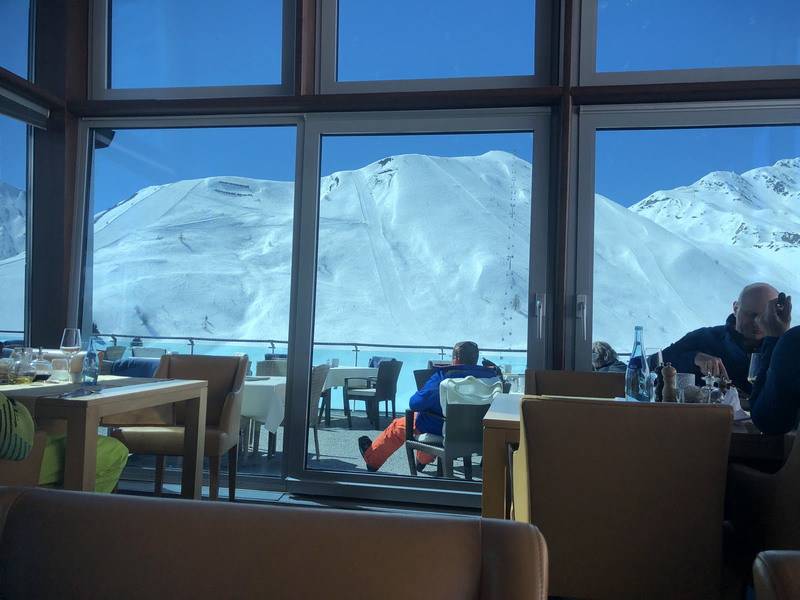 Obergurgl Hochgurgl in Austria sounds funny, but the skiing is no joke, with two interconnected mountains, very family friendly terrain, ski schools, and lovely ski in ski out lodging at Hotel Crystal. 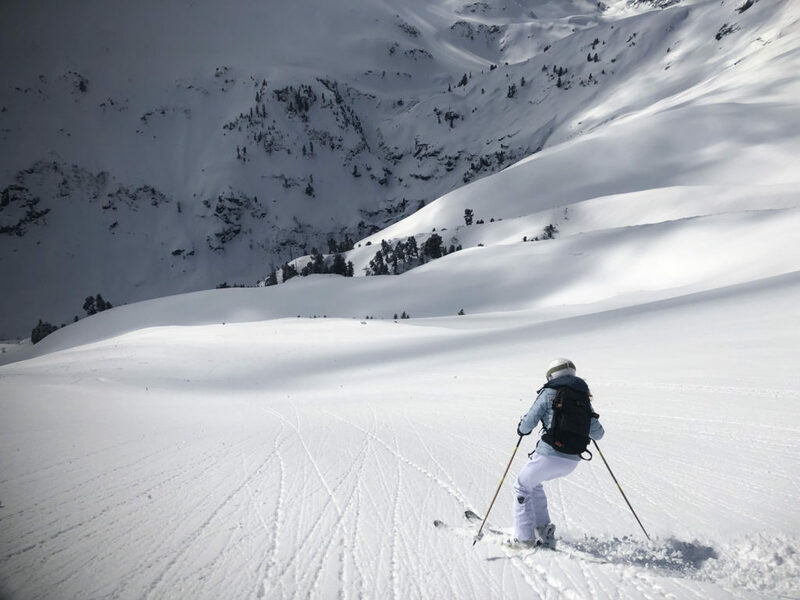 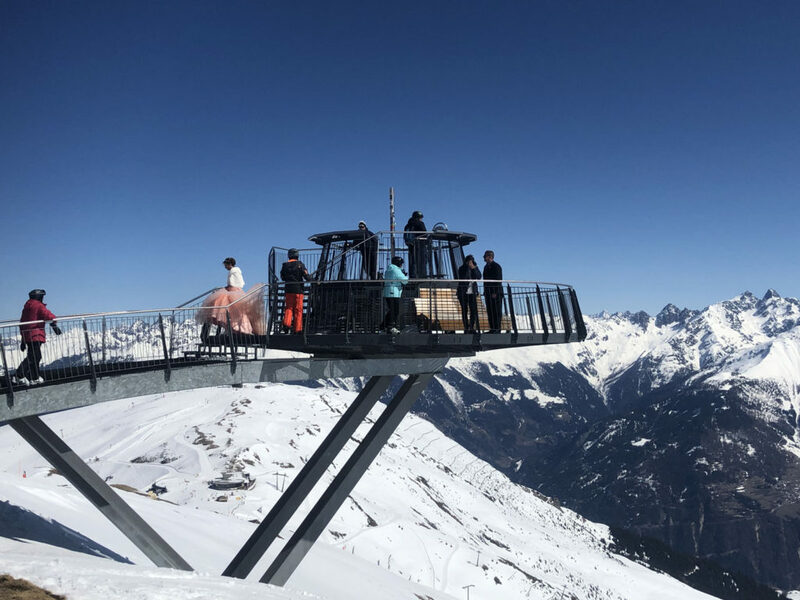 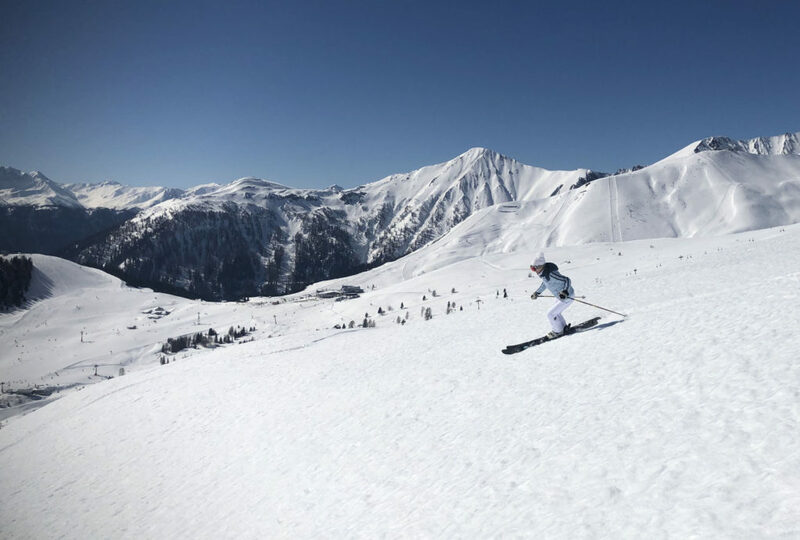 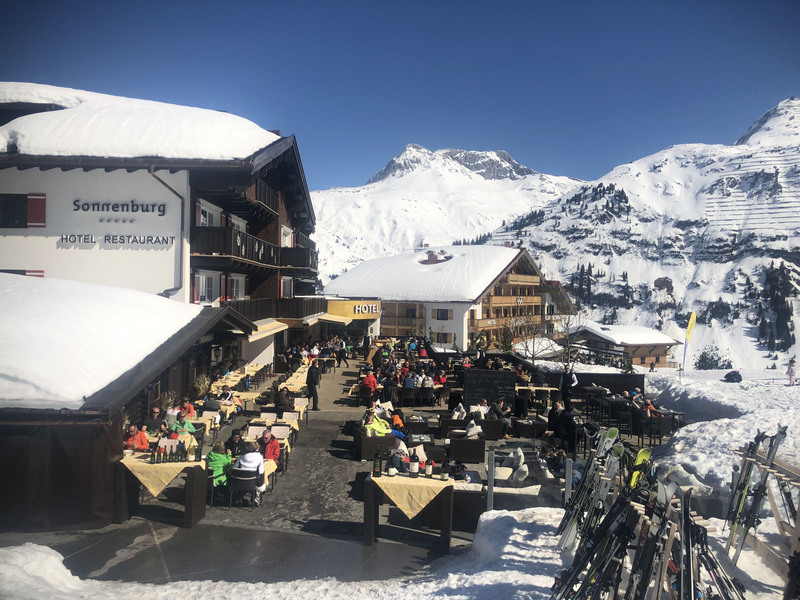 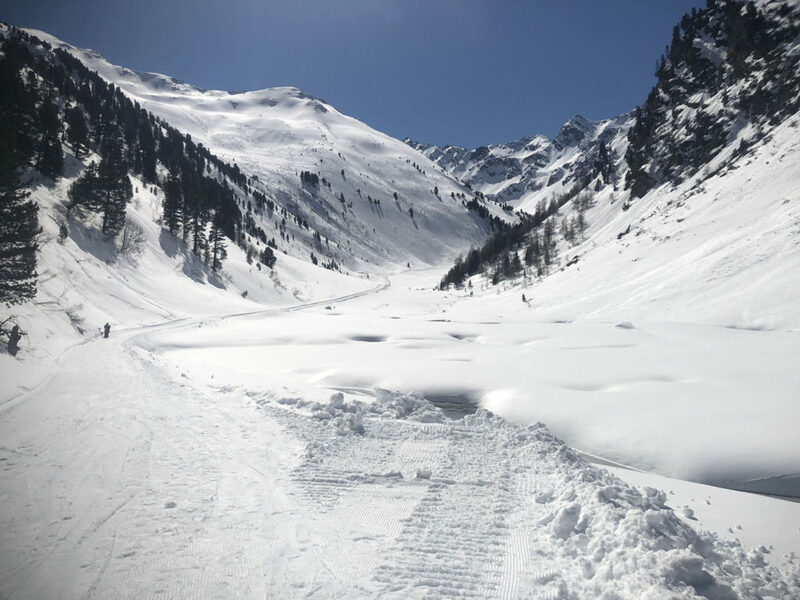 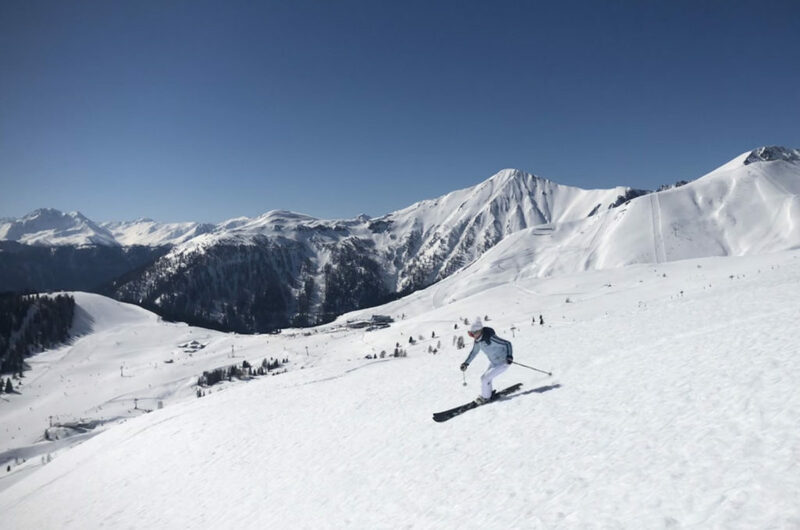 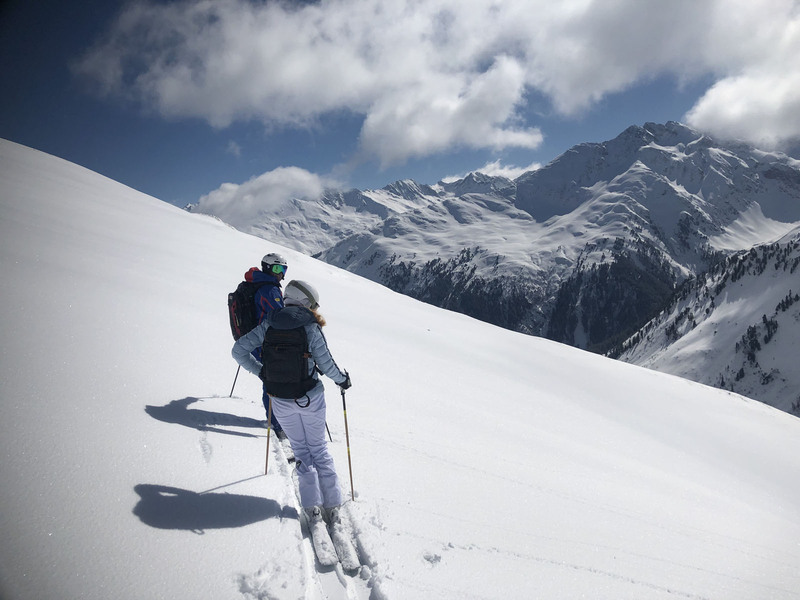 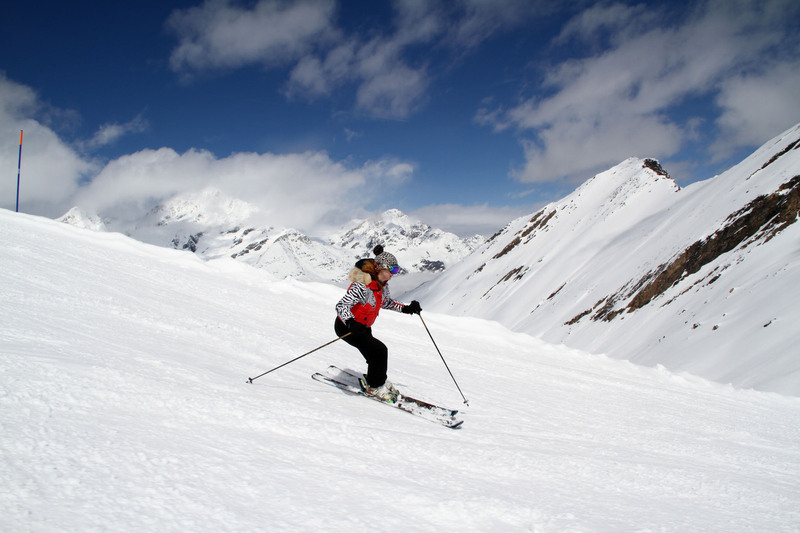 While smaller than other Alps ski resorts, Obergurgl offers high elevation skiing with good snow, and less skiers, making it ideal for families – especially popular with the Brits. 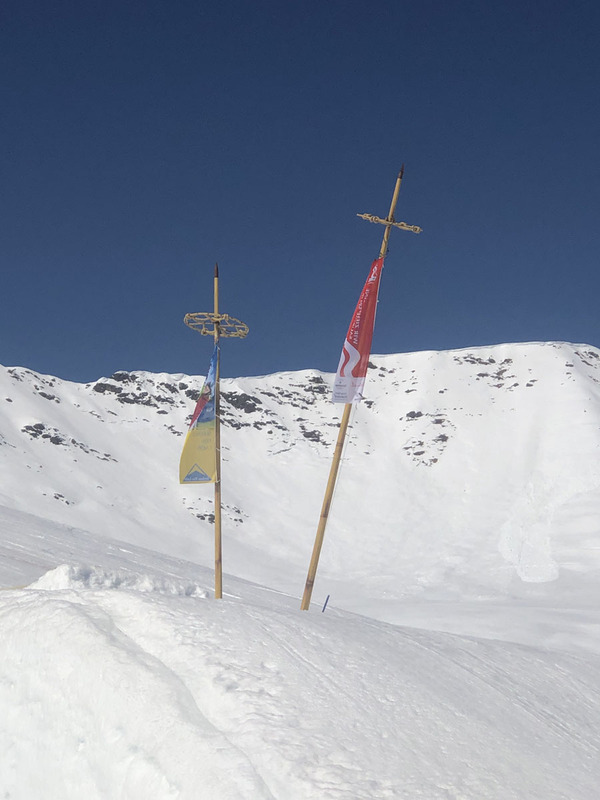 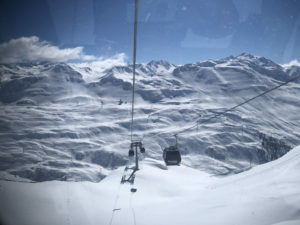 Obergurgl is just up the valley from Solden – where the ski teams train on two glaciers. 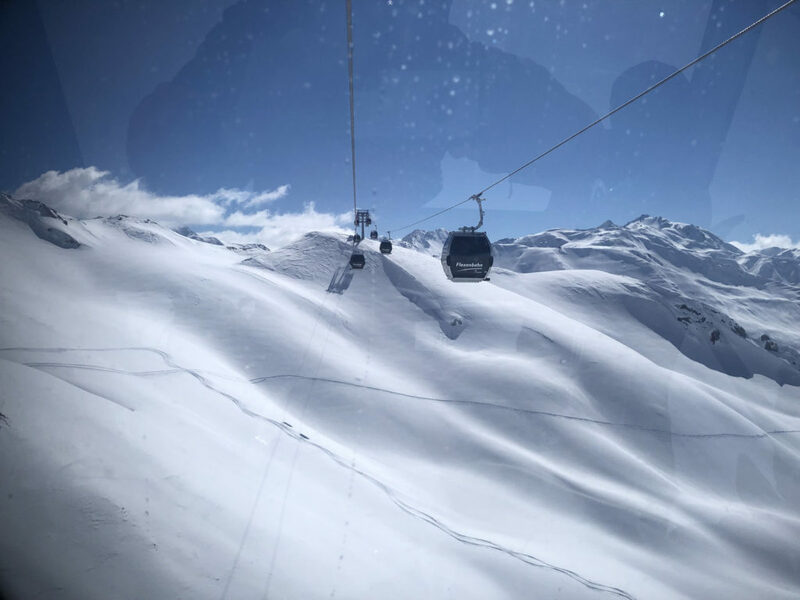 Solden is another vast ski resort with modern lifts and amazing scenery – you could easily visit both ski area on your Austria ski holiday. 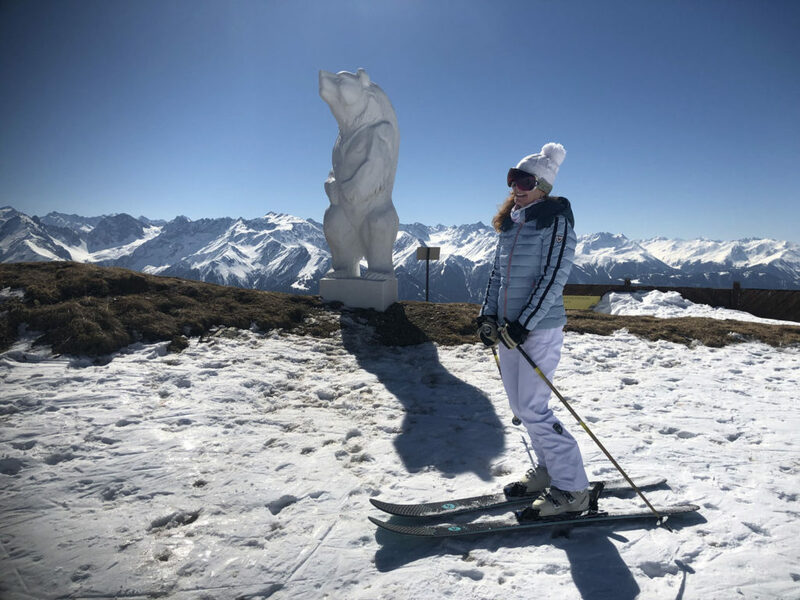 Courchevel France – part of Les Trois Vallées is a fantastic family ski resort with perfectly groomed slopes, chalets at every turn, kids fun zones and Panda Bears on the ski slopes. 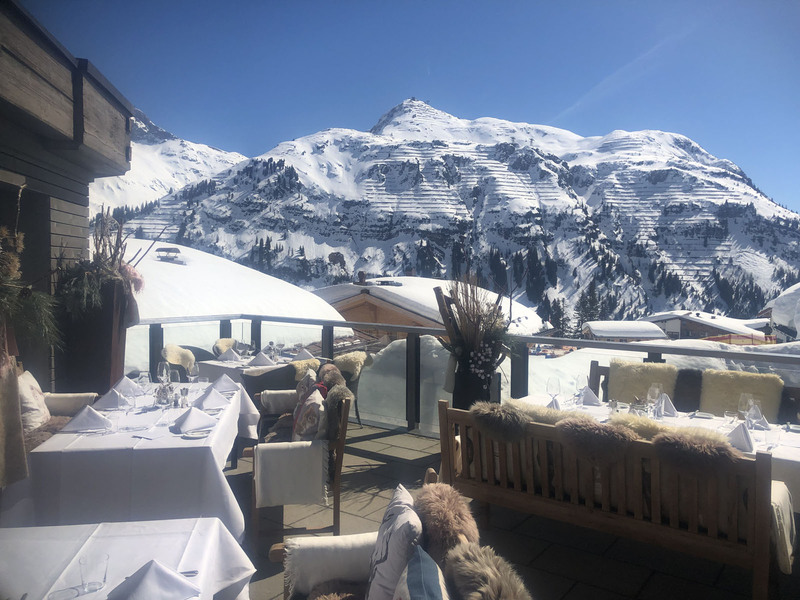 The lodging and ski village is tres chic at Courchevel, and the après ski is the best. 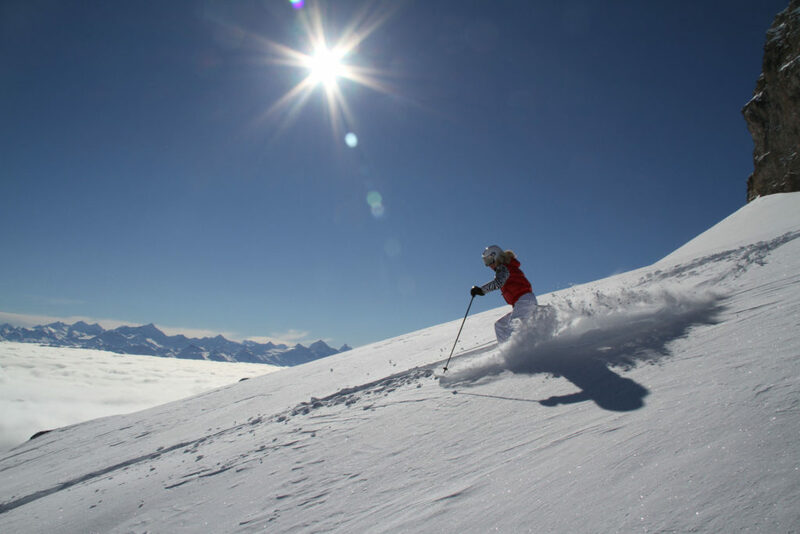 You can ski to Val Thorens and Méribel all on one 3 Vallées ticket, so you have 600 kilometers of skiing in 8 ski areas from Courchevel. 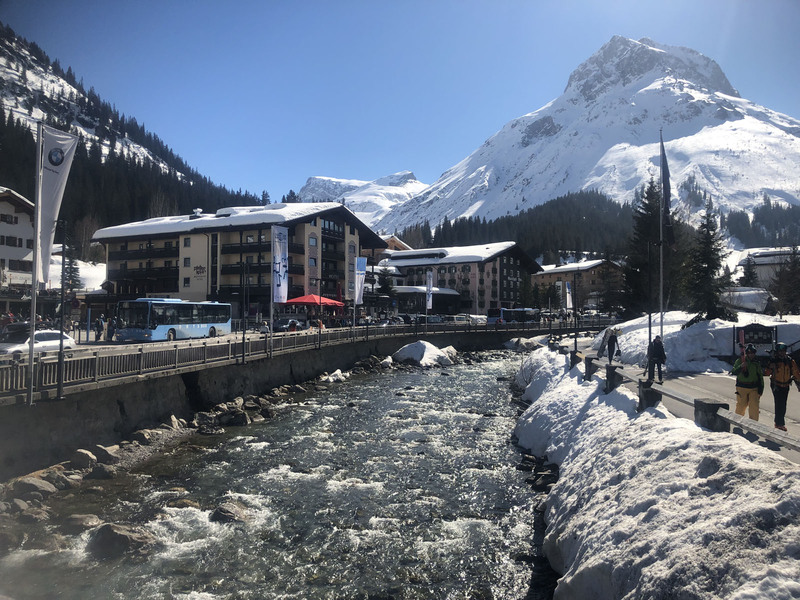 Val D’Isère and Tignes combine to bring amazing French Alps skiing, branded as L’Espace Killy – for famous Jean Claude Killy, this was the 1992 Olympic ski venue. 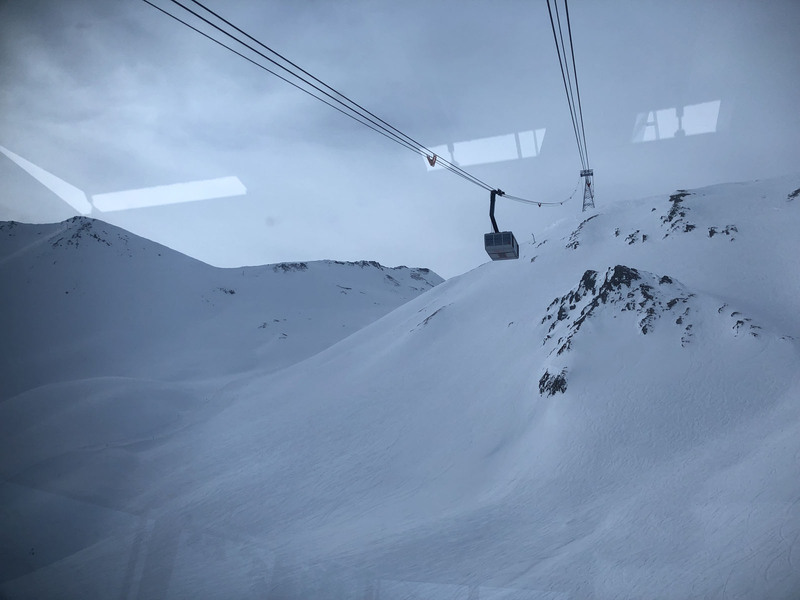 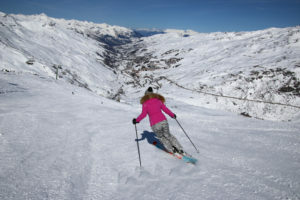 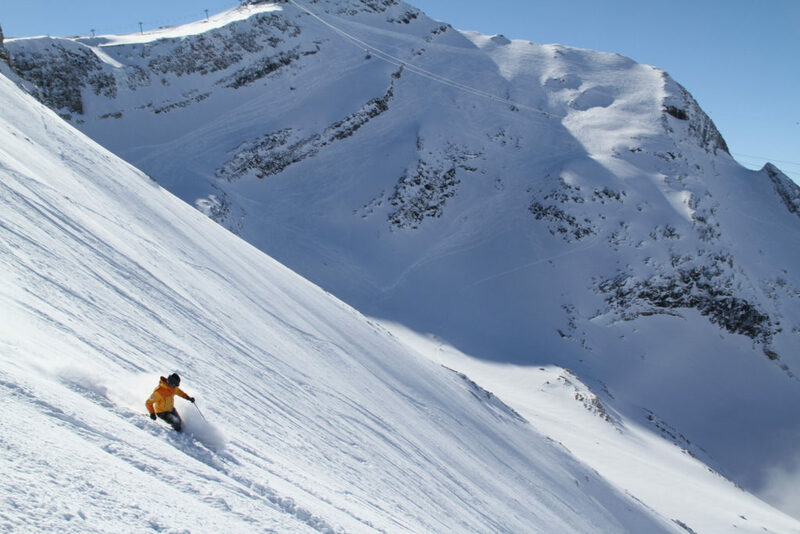 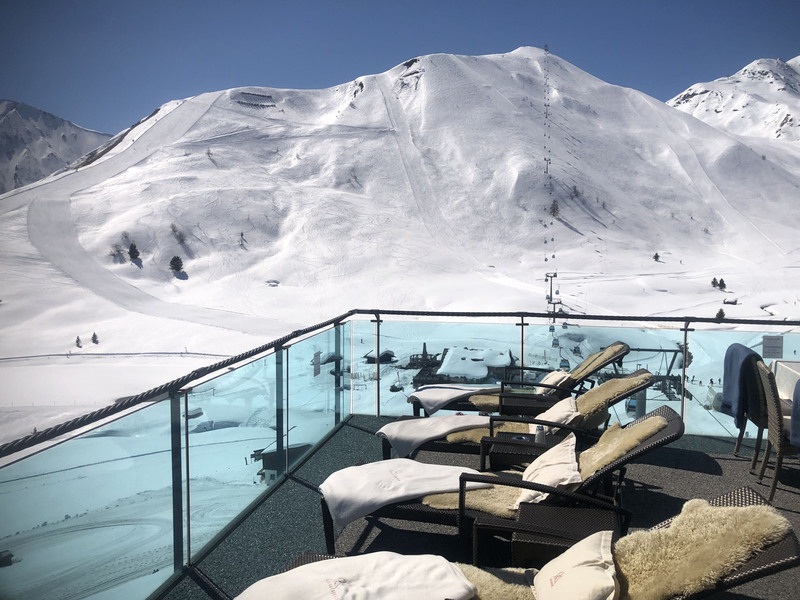 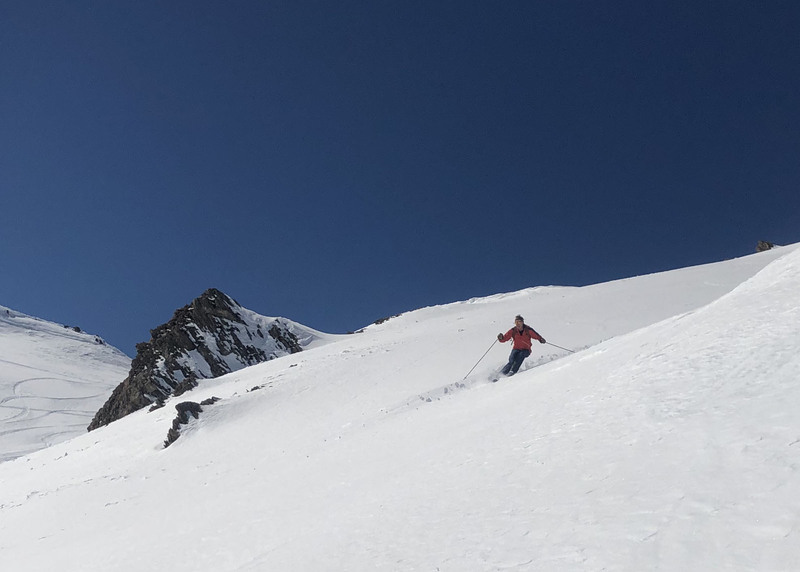 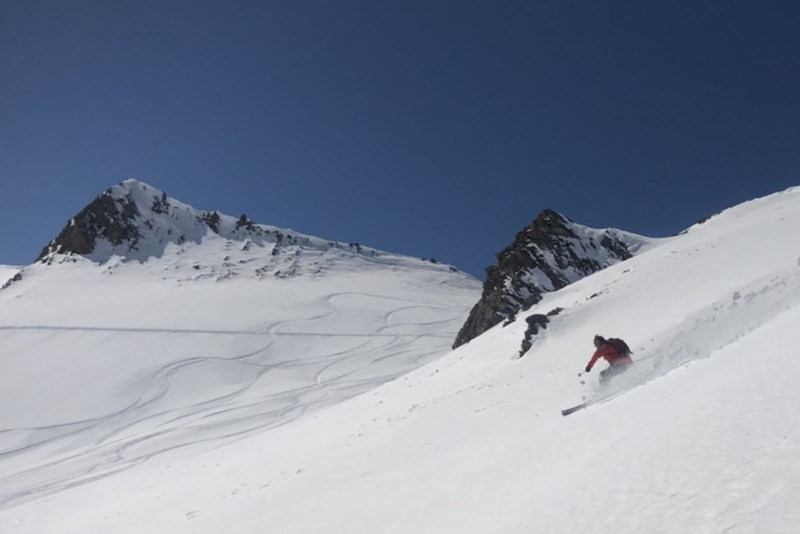 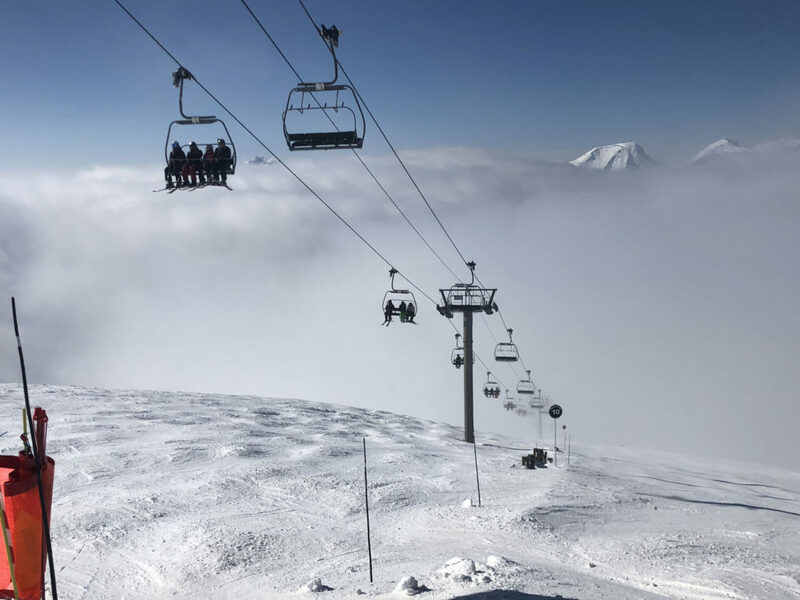 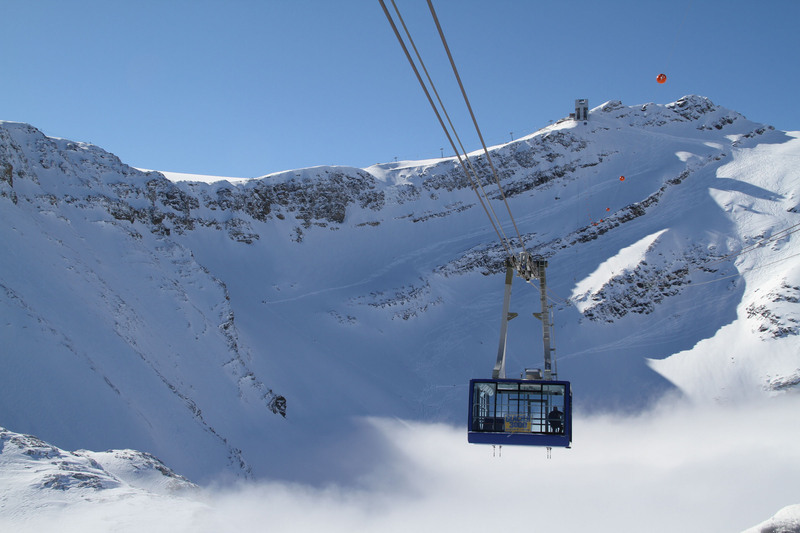 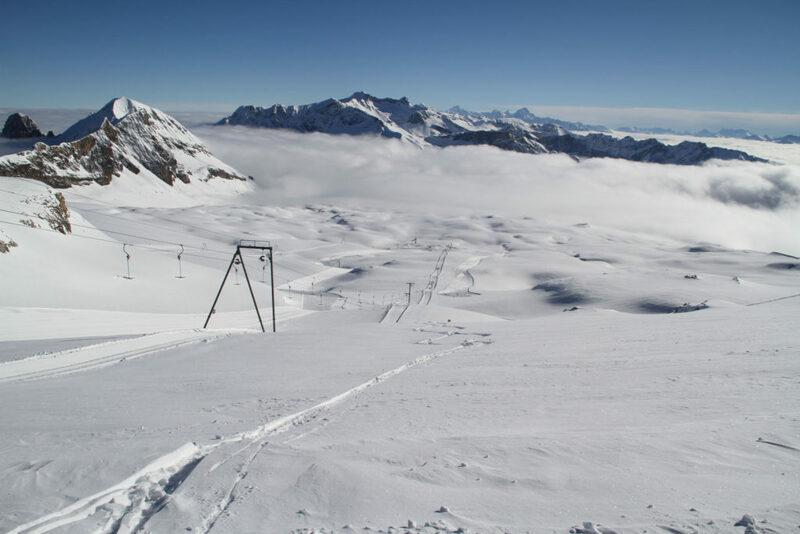 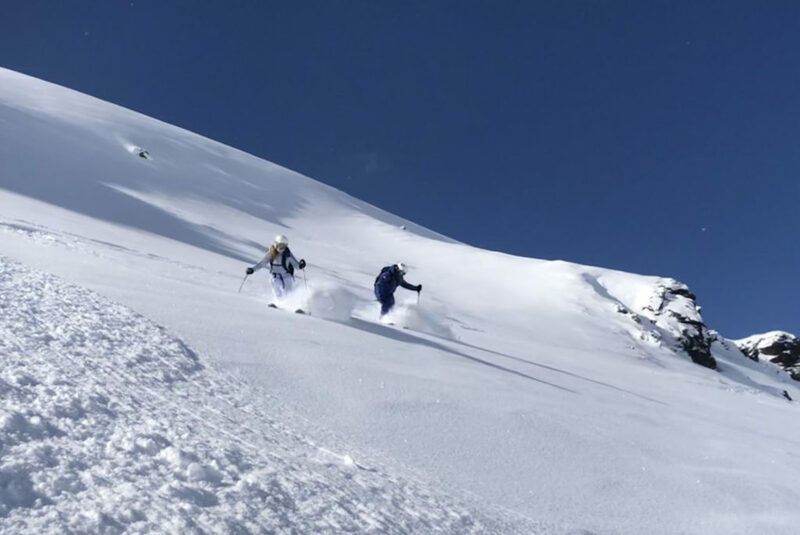 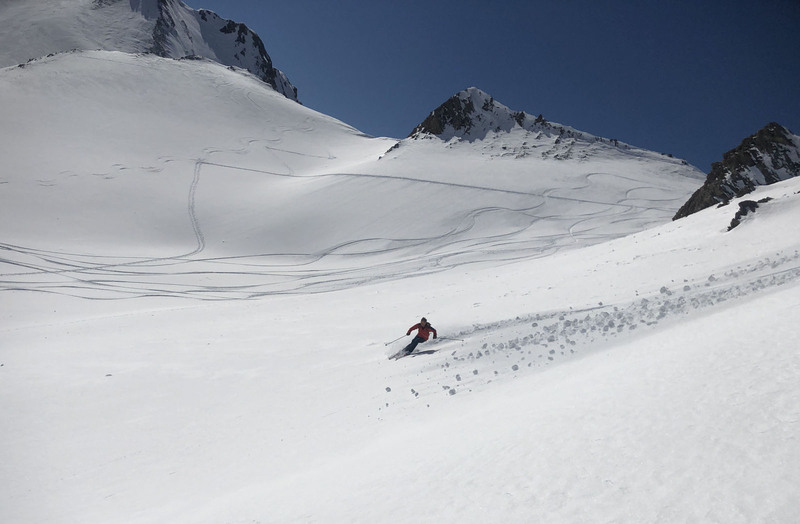 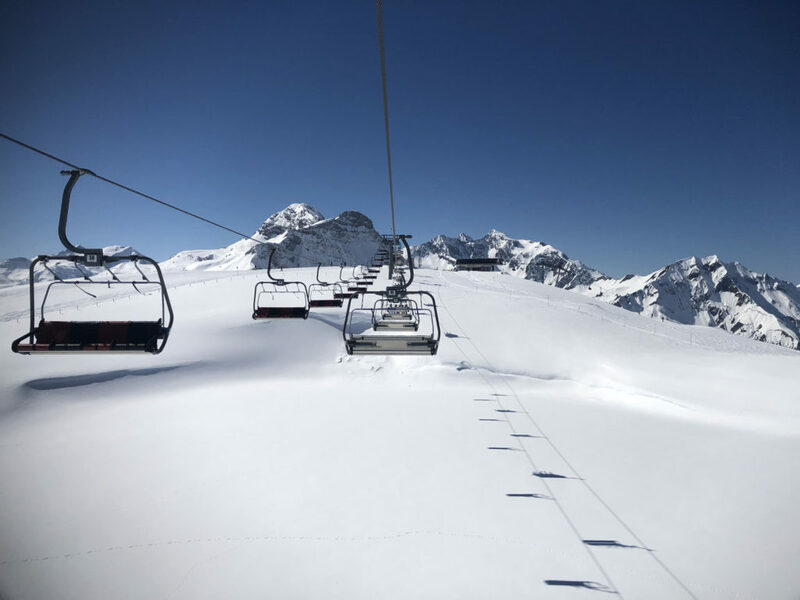 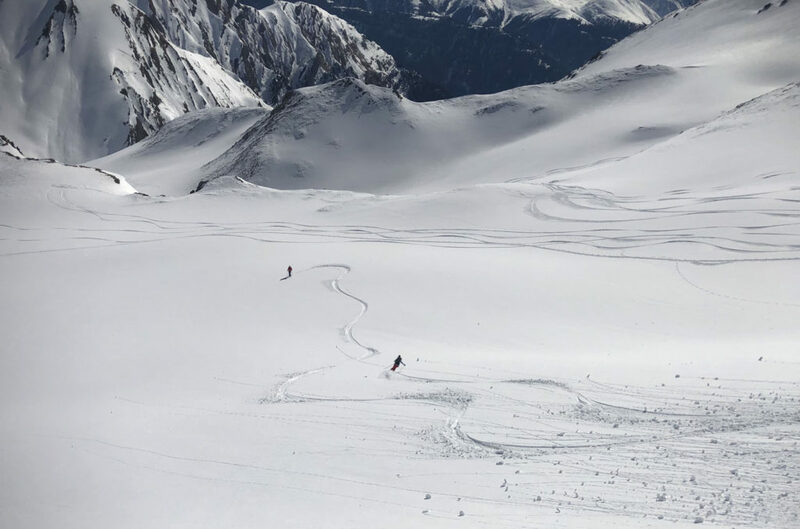 90 lifts and over 300 ski runs connect the historic ski slopes of Val D’Isère and the more modern Tignes – both offer glacier skiing and long seasons. Val D’Isère is the more charming French ski village, while Tignes is sprawling with 70’s vintage lodging. 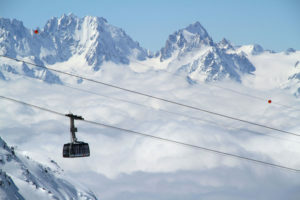 See our Top Ski Hotels in France for luxury moutnain lodging. 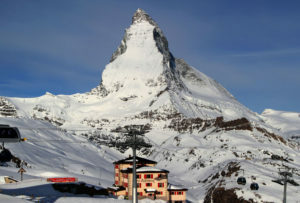 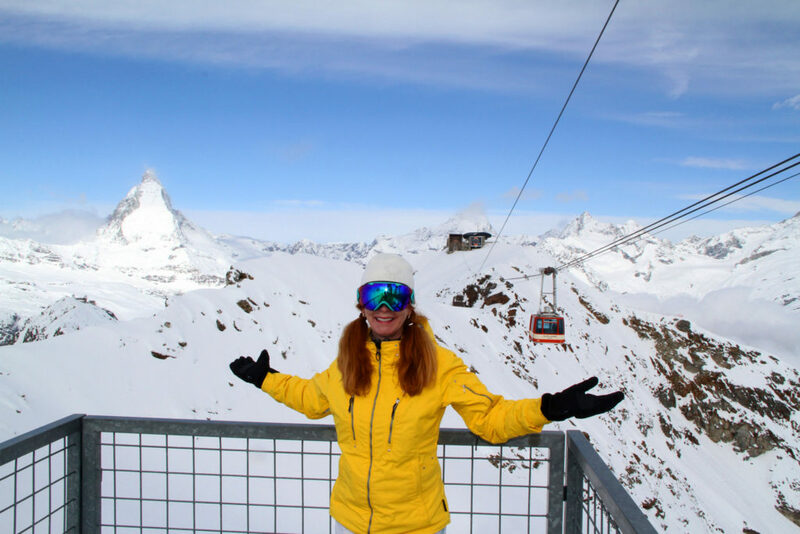 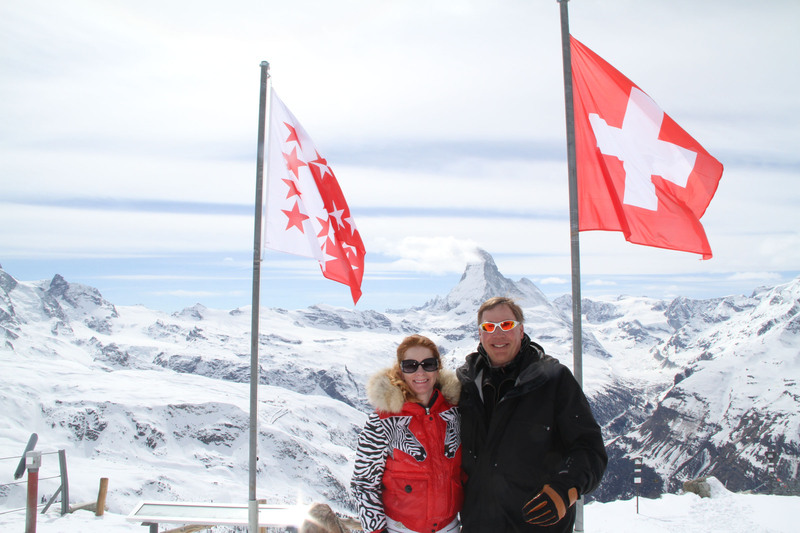 Zermatt Switzerland is best known for The Matterhorn, the most photographed mountain in the world at 14,693’, but Zermatt is also an immense ski region for families – best saved for once everyone is skiing advanced. 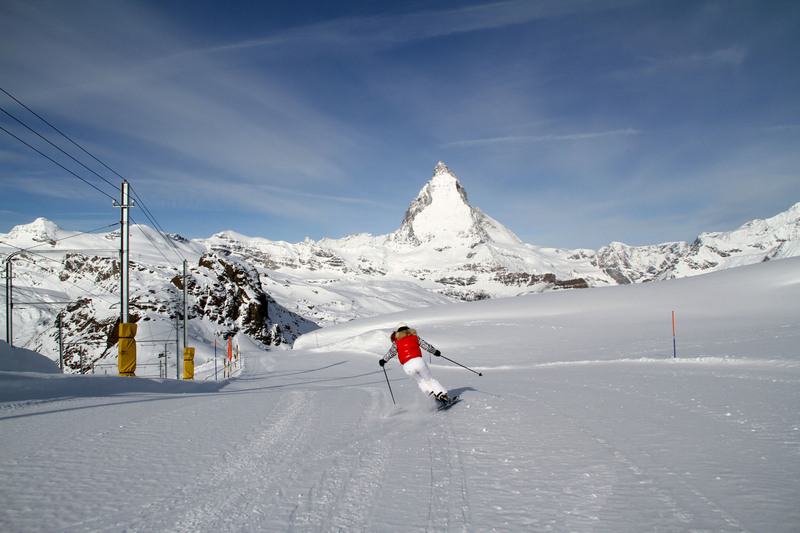 Zermatt offers the highest skiing in the Alps at 12,791-feet, with 54 ski lifts accessing 350 kilometers of prepared slopes. 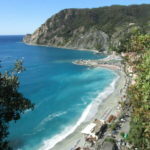 Trains, trams and gondolas bring you to beautiful scenery, great snow, charming chalets, you can even ski to Italy for lunch. Zermatt village is car-free but busy and bustling with top ski hotels, shops and Swiss restaurants. 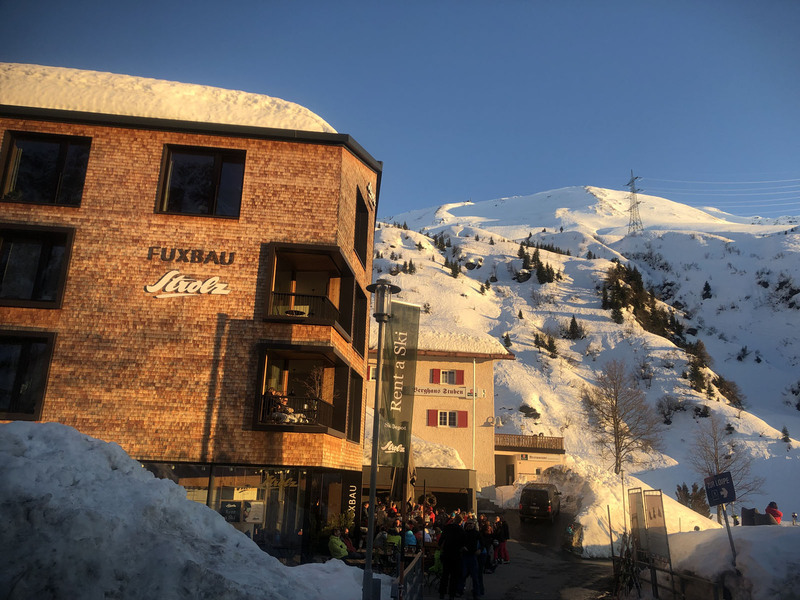 Portes Du Soleil on the Swiss French border is a vast ski region encompassing 12 villages, its big and beautiful, and often sunny – hence the name door to the sun. 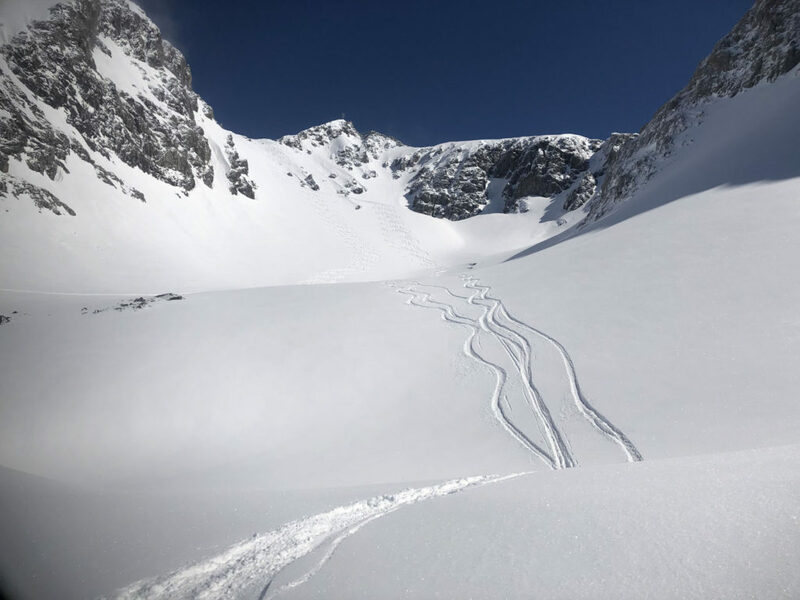 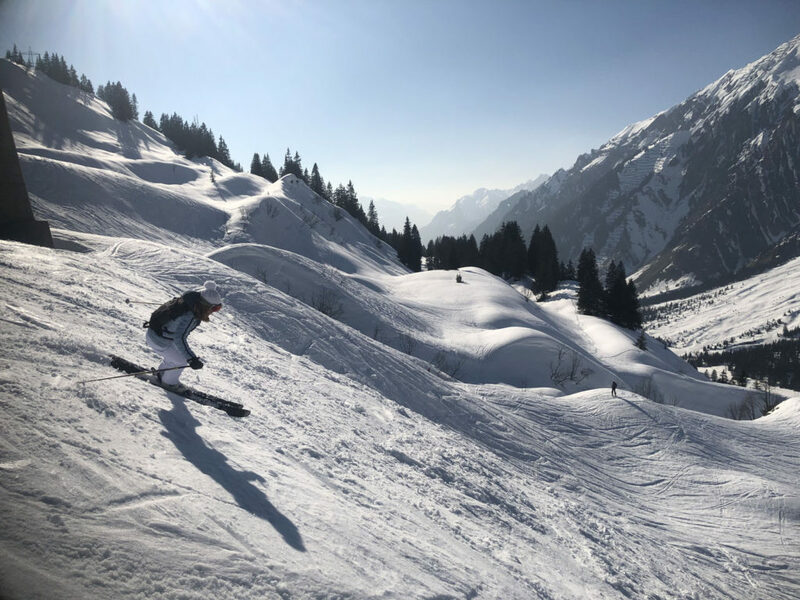 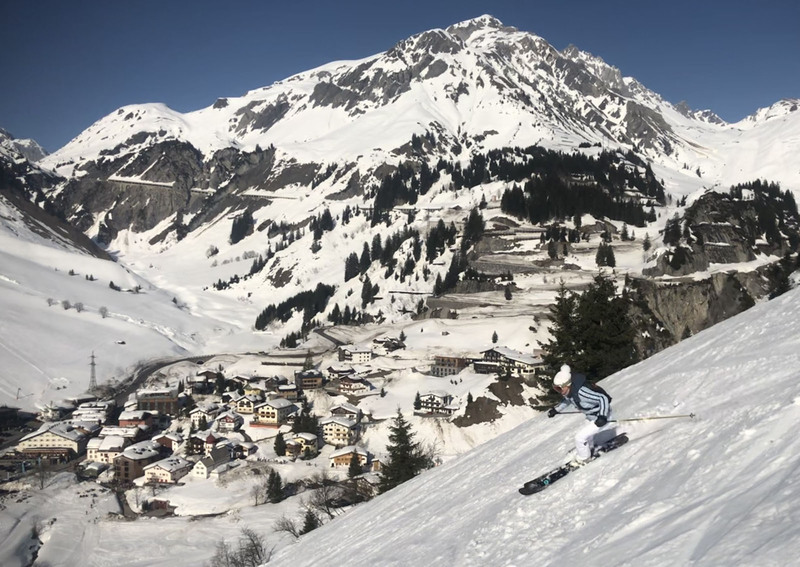 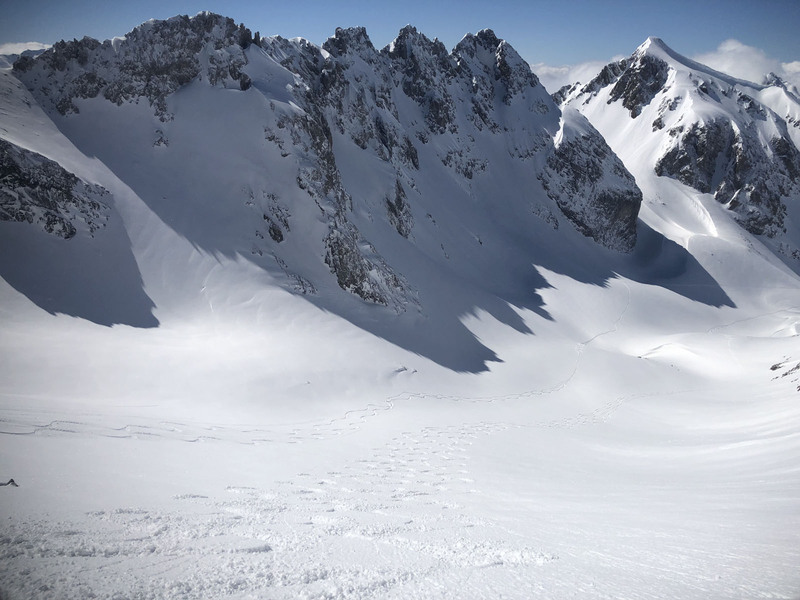 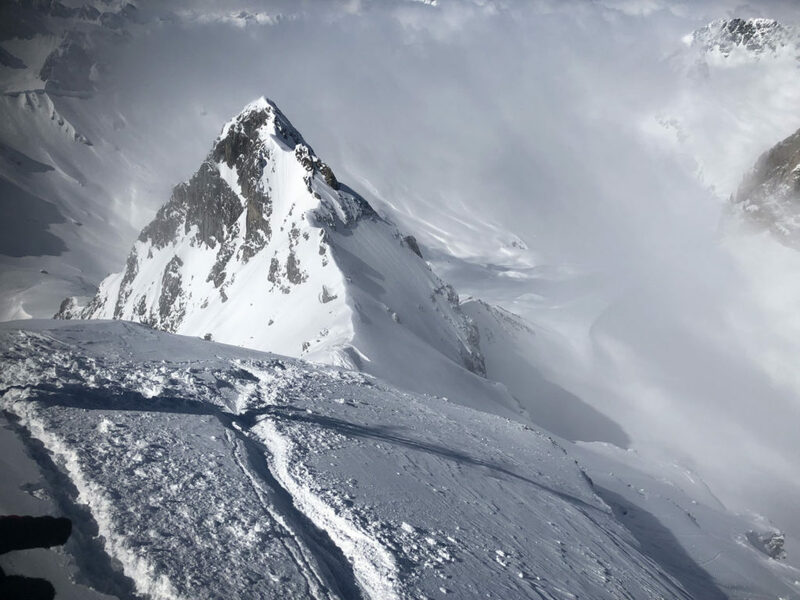 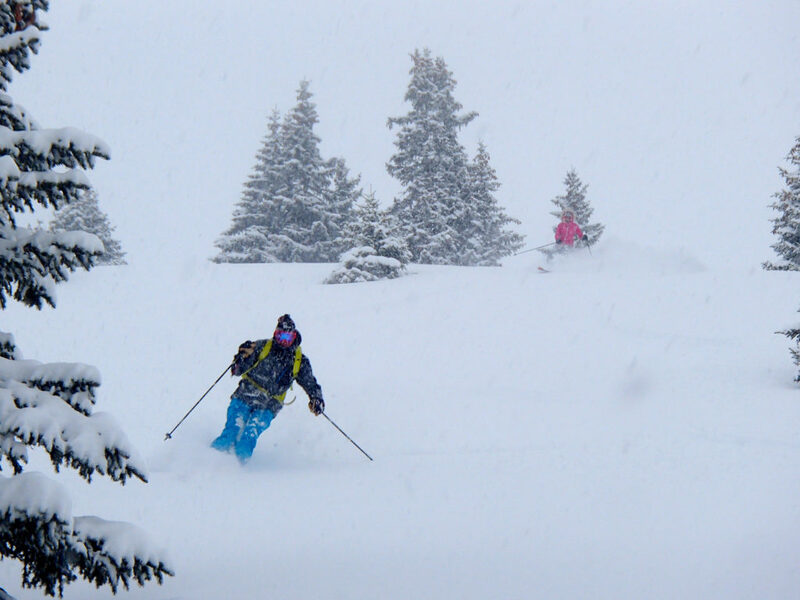 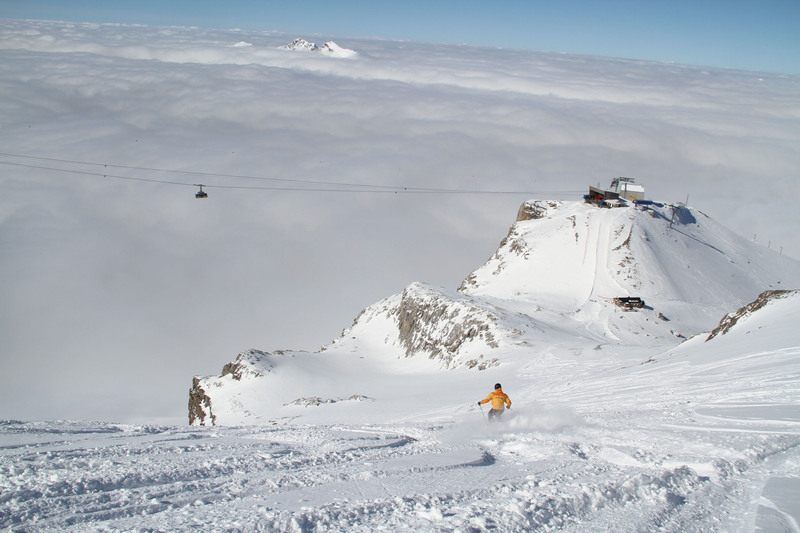 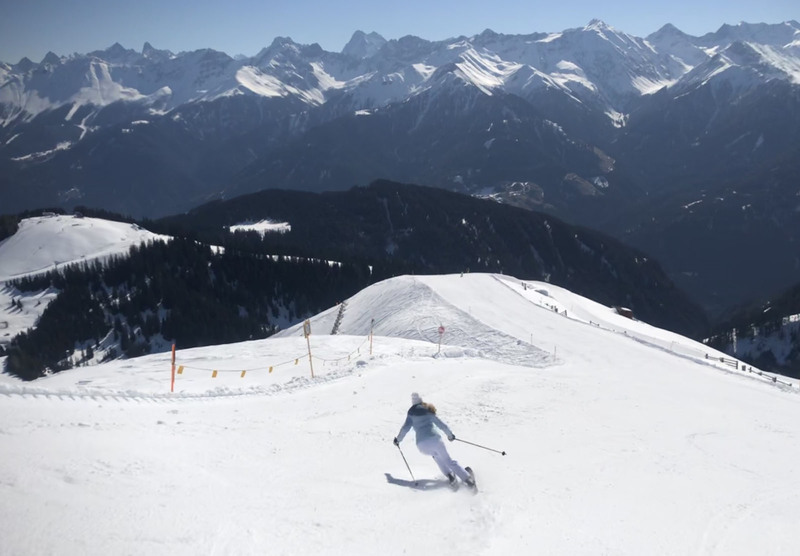 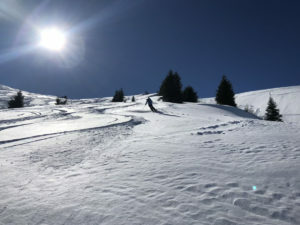 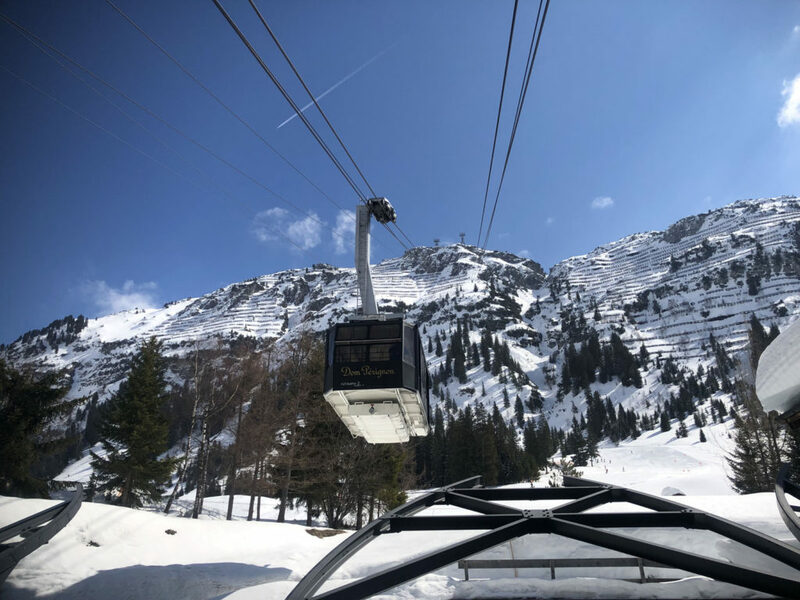 While not as high elevation as Zermatt or The Jungfrau (just 7,400’), there’s tons of skiing, between Mont Blanc in France and Lake Geneva in Switzerland, almost 200 lifts, and over 300 prepared pistes (trails) connecting the ski areas of Avoriaz, Morgins, Chatel, Champoussin, Les Crosets, Champery, Morzines and Les Gets. 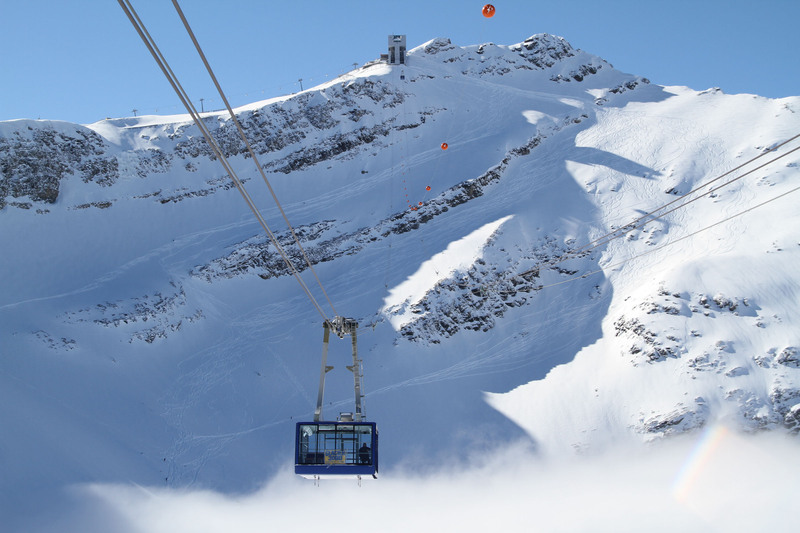 A few villages require buses to continue skiing – so technically its not all ski lift accessible. 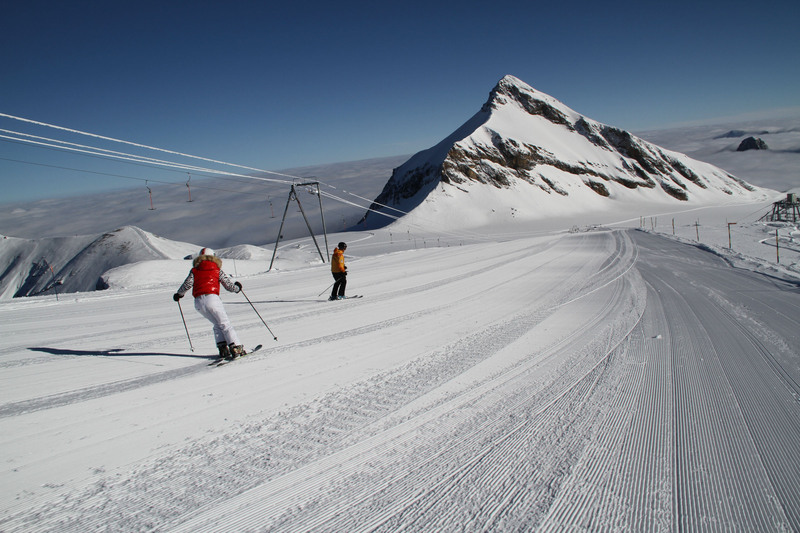 Switzerland’s Jungfrau is an immense ski region encompassing three ski areas and four villages. 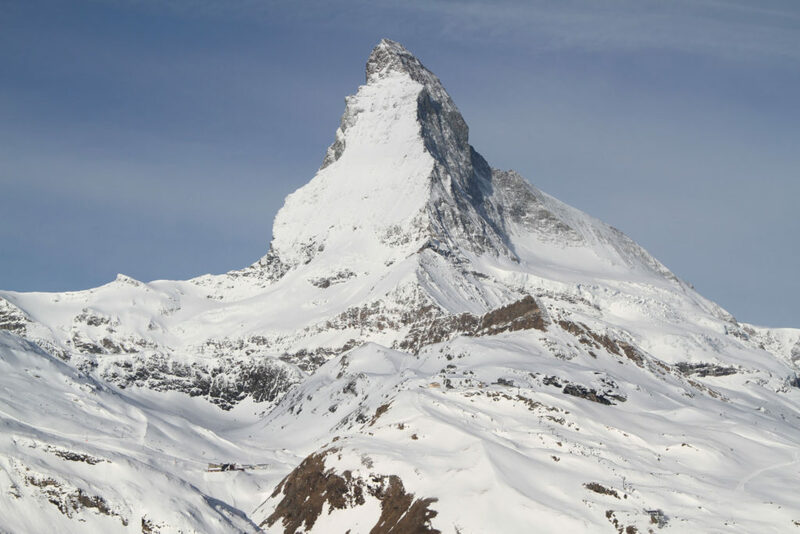 The Swiss Alps of The Jungfrau, Monch and Eiger are arguably the most spectacular mountains in the world. We loved staying in Wengen, the car-free village famed for hosting the World Cup each January. Ski all three regions from the family friendly sunny slopes of Grindelwald-First (home of the world’s longest sled run -15 kilometers), to Wengen’s long Lauberhorn ski race arena, to the highest summit – the Schilthorn where the mountaintop rotating lodge – the Piz Gloria – was made famous by the James Bond 007 movie. 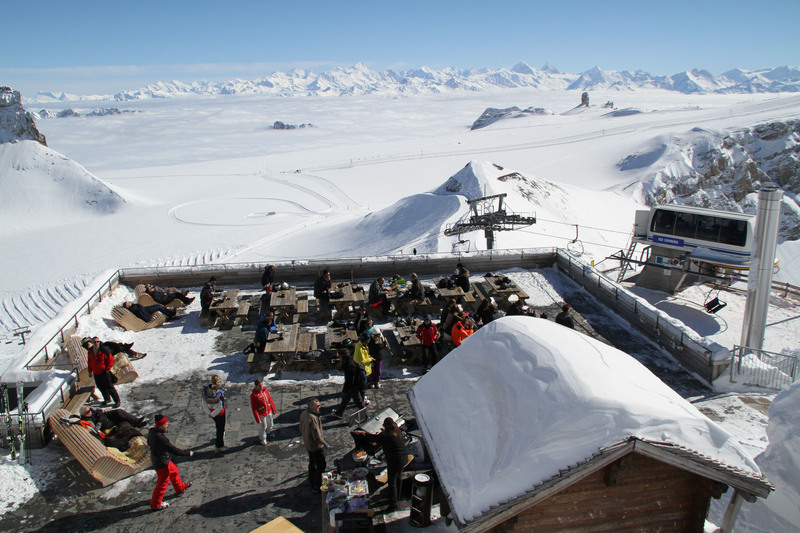 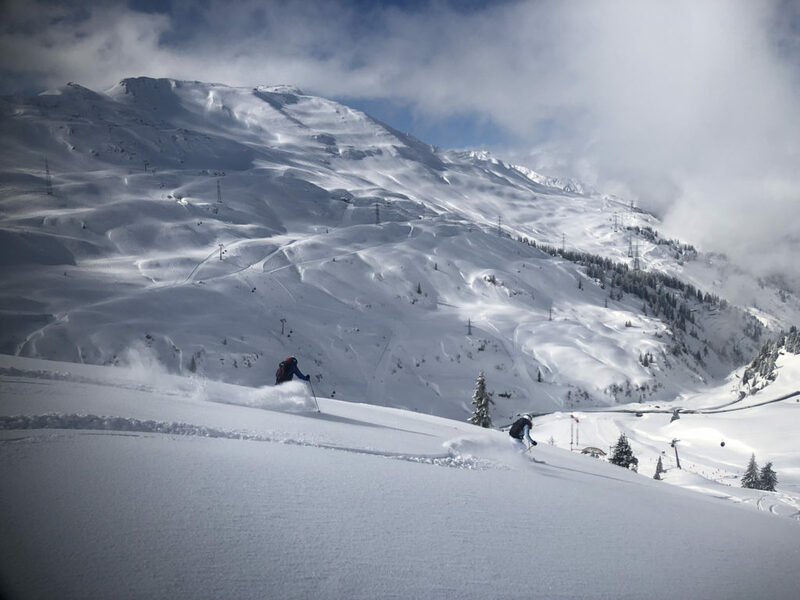 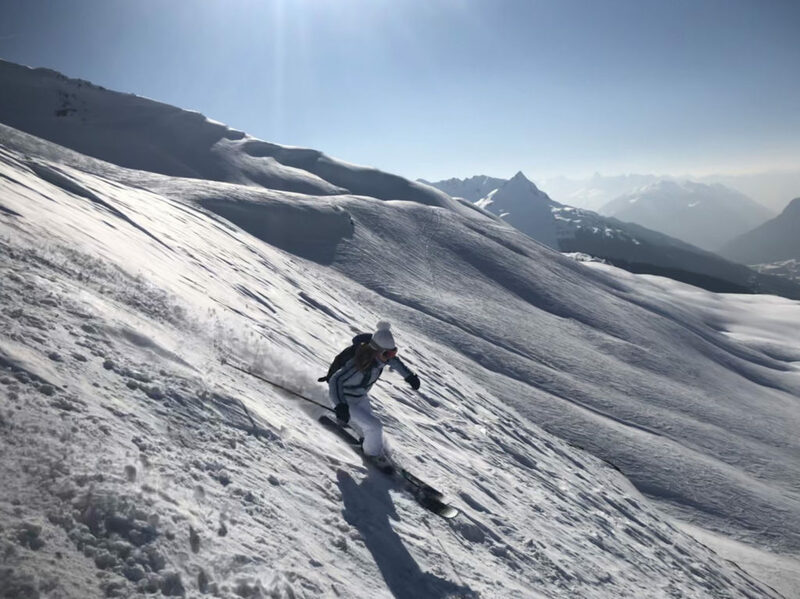 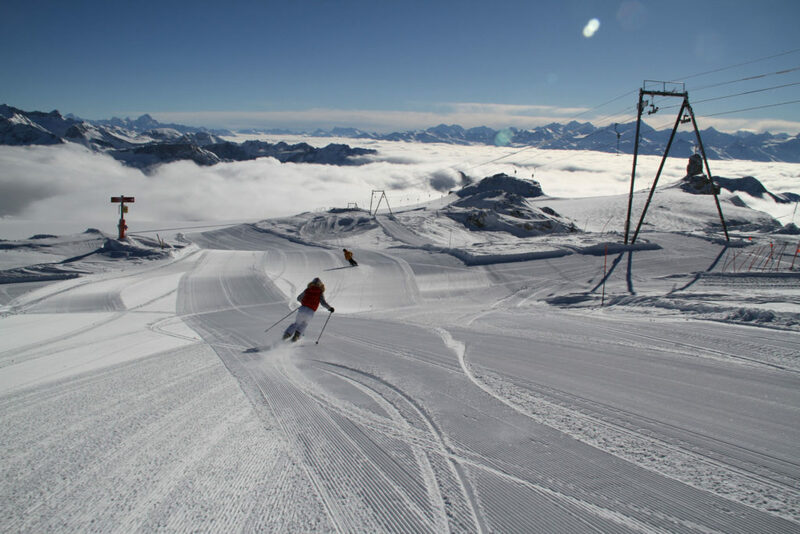 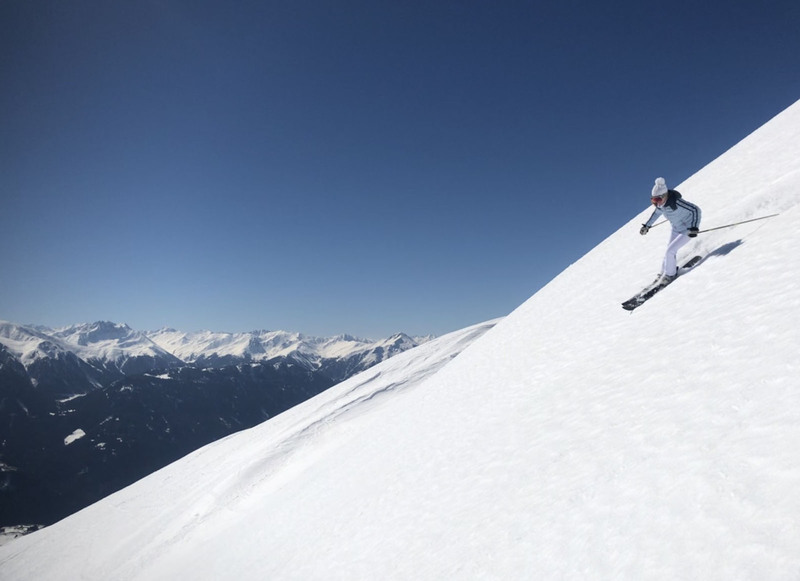 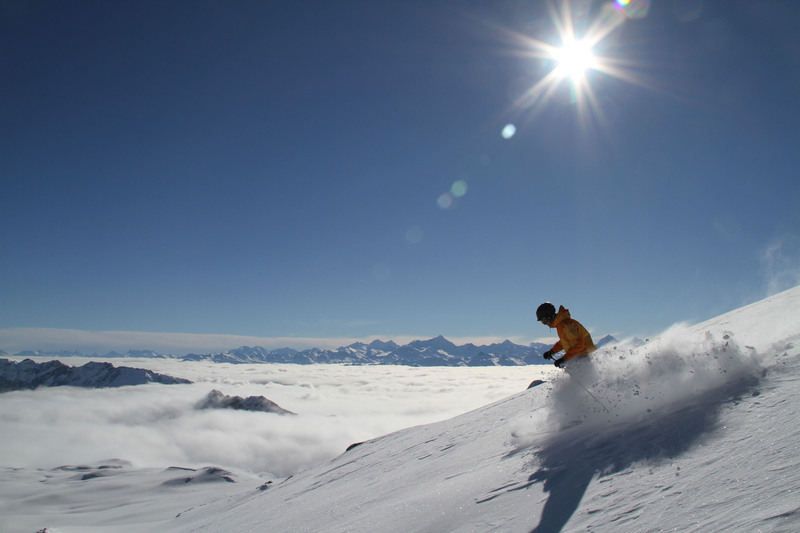 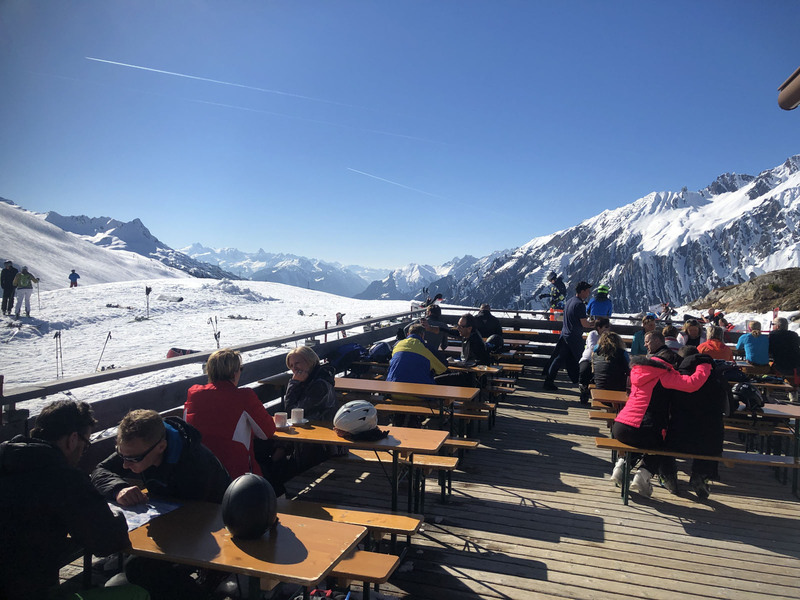 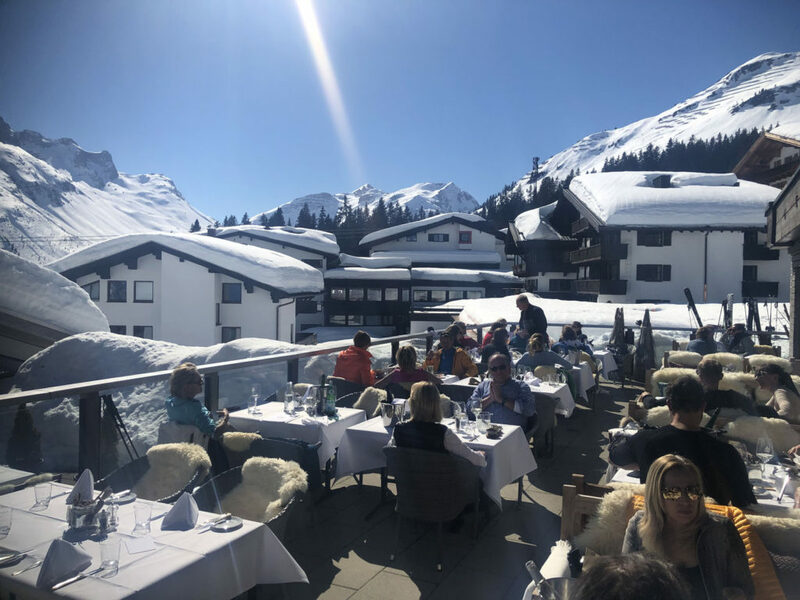 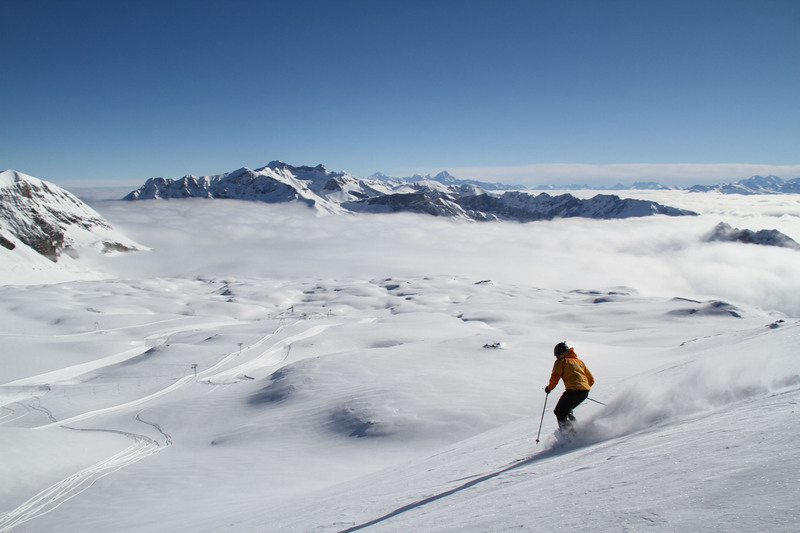 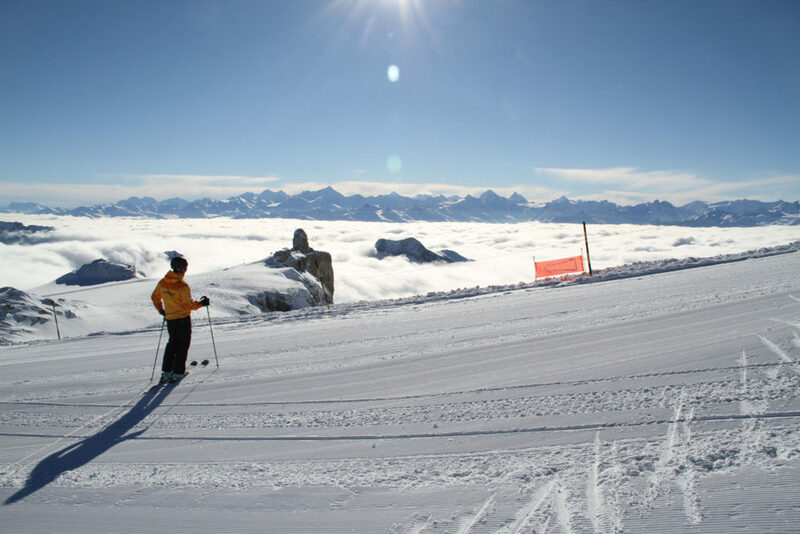 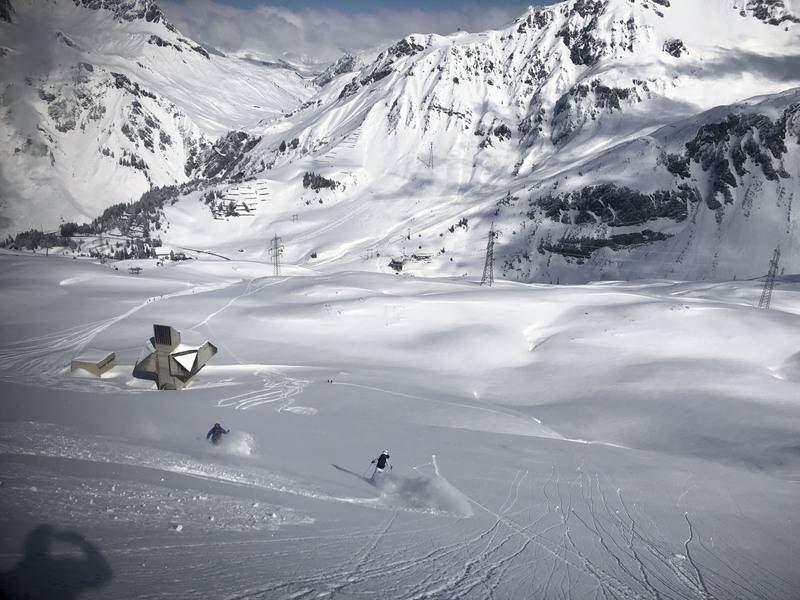 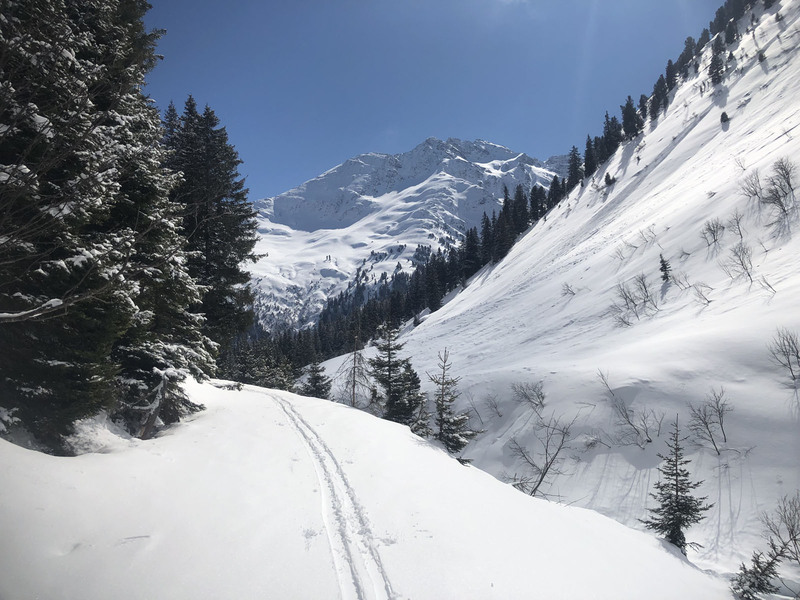 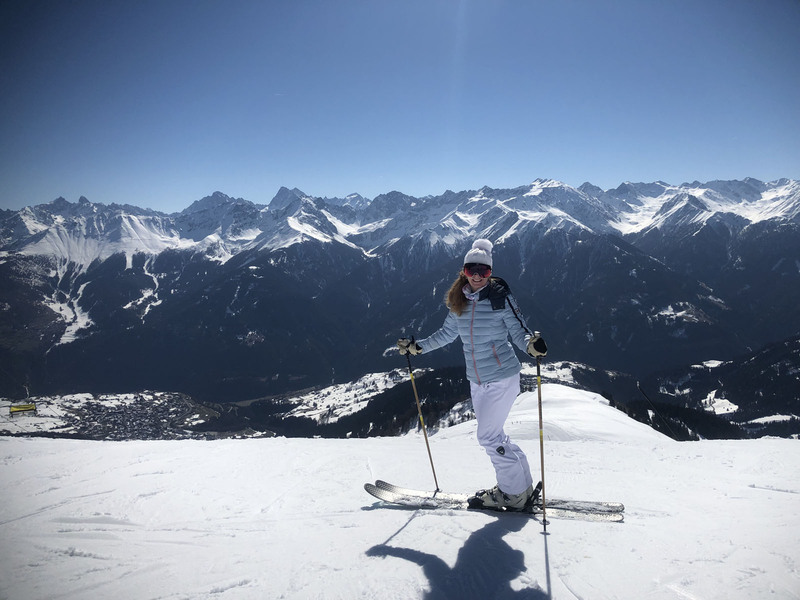 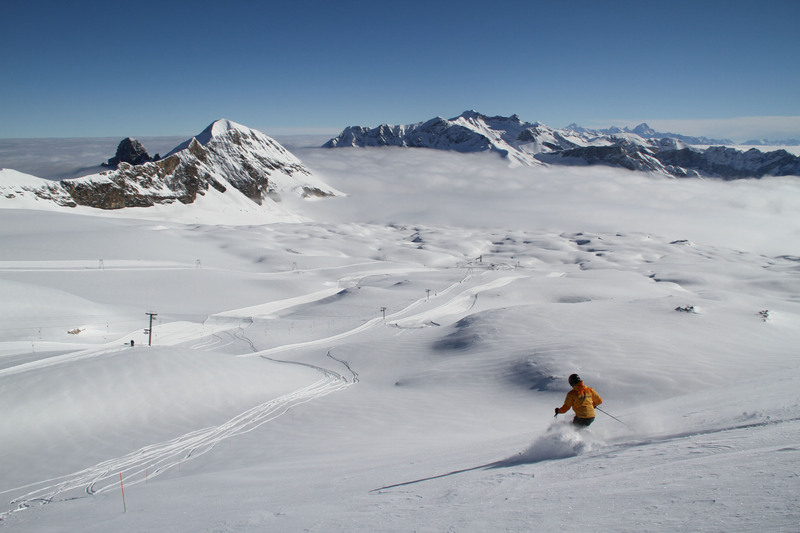 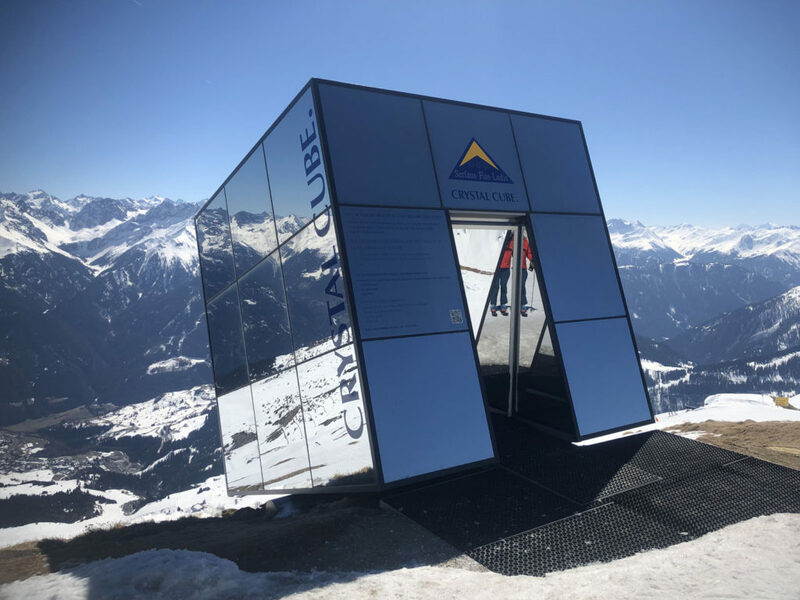 Laax Flims Falera and Arosa Lenzerheide in the eastern Swiss Alps are both large interconnected ski resorts offerigns kiers fantastic views, big mountain skiing and free riding, authentic on mountain dining and chalet lodging. 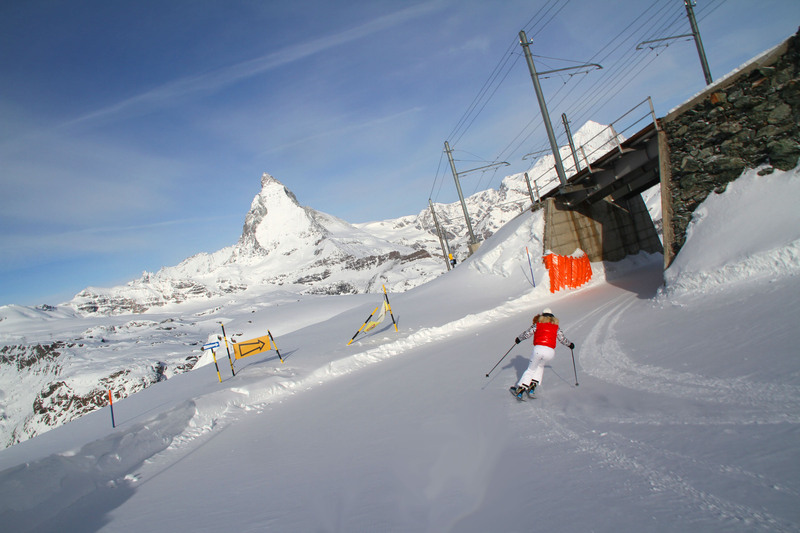 These Swiss ski resorts, along wtih Andermatt-Sedrun, Davos and St Moritz can be reached by the Matterhorn Glacier Express train. 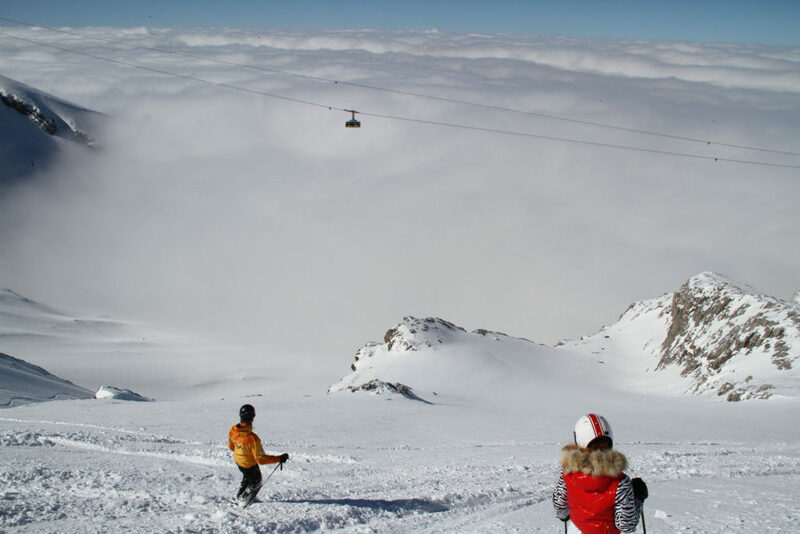 Saas Fee Switzerland is not as well-known as nearby Zermatt but its highly scenic, high elevation and high on our list for family skiing. 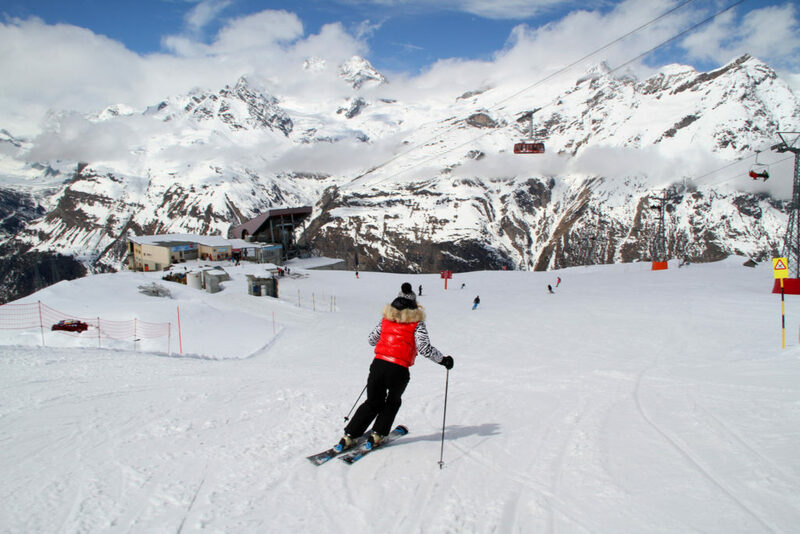 The car-free village of Saas Fee is charming, and the ski slopes are surrounded by gorgeous glaciers. 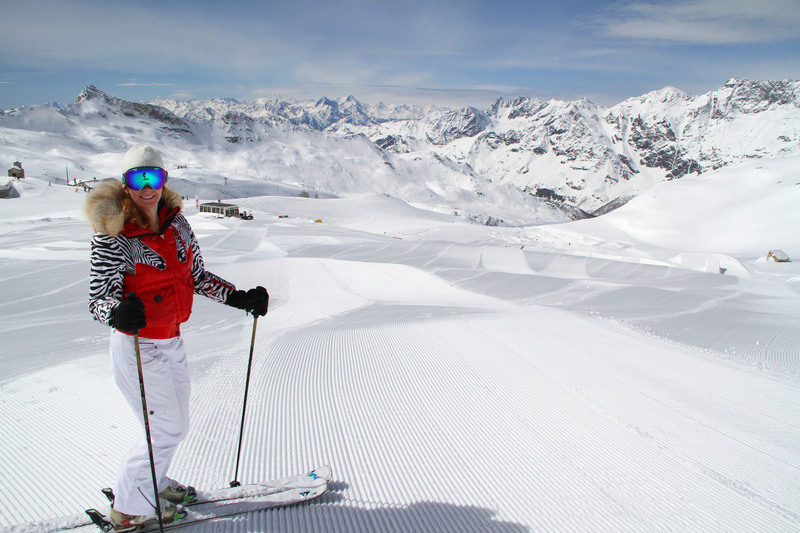 The lifts are older, but the vibe is authentic and unhurried at Saas Fee. 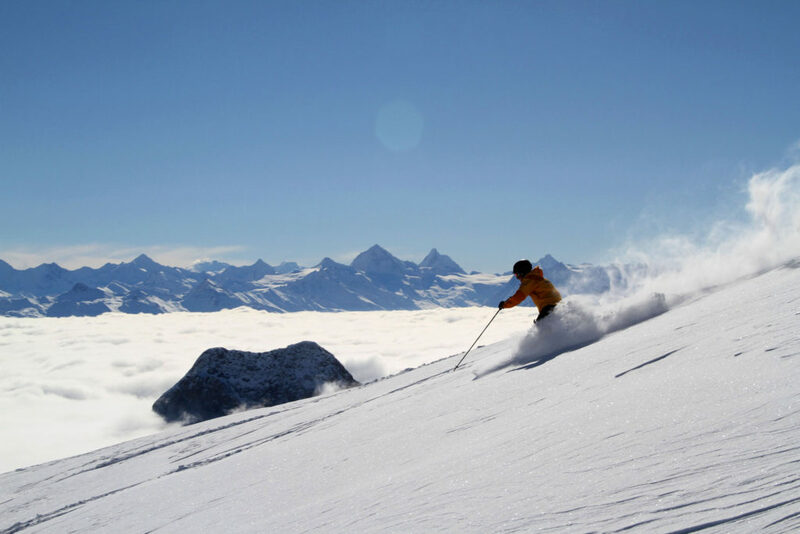 Kids will love the legend of the mountain fairies, parents will like discovering a new Swiss ski destination. 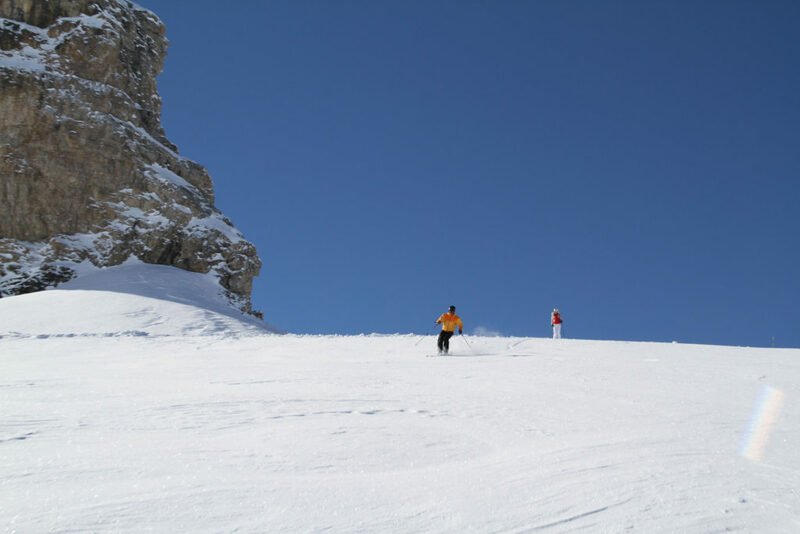 The Dolomites – Val Gardena in Italy is historic, highly scenic, and heaven for skiers. 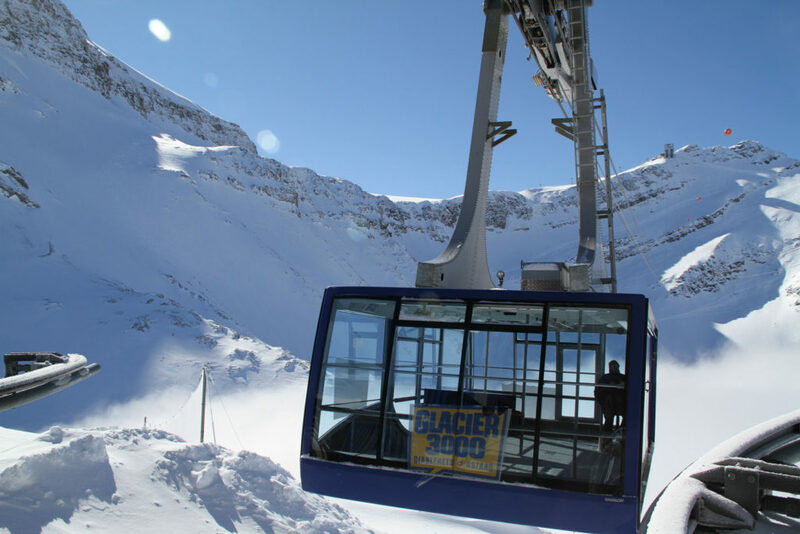 The Italian Dolomites are vast, with 1,200 kilometers of skiing in 12 regions – much of which can be reached from Val Gardena’s famous ski slopes. 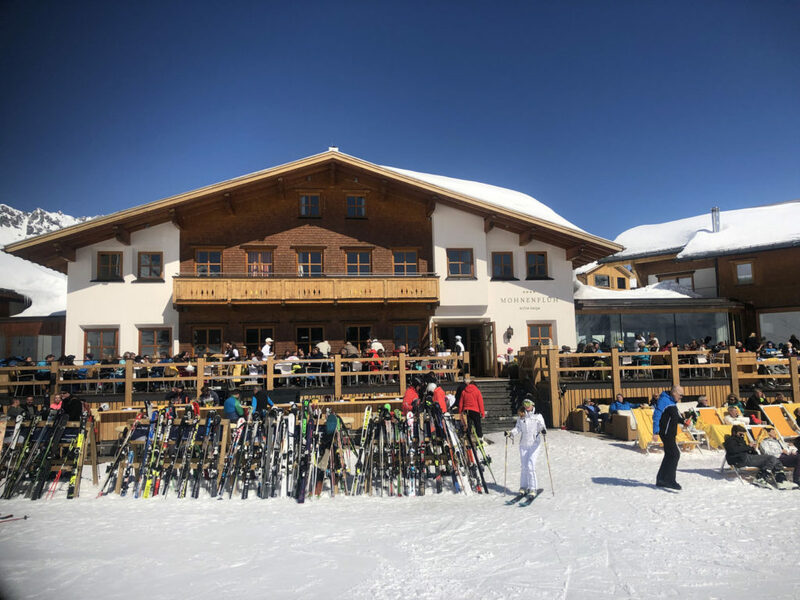 Staying in the charming village of Ortisei in Val Gardena is perfect for an Italian family ski holiday, with a Dolomiti Superski pass valid at Cortina and to ski the Sella Ronda as well. 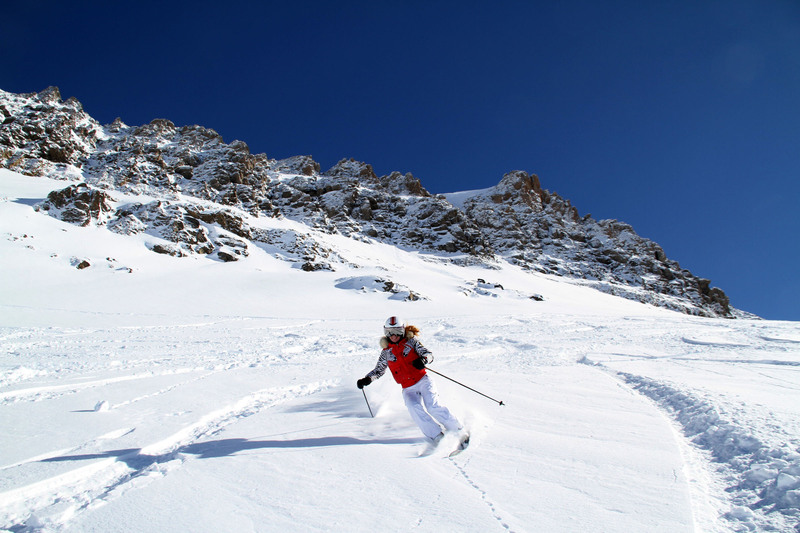 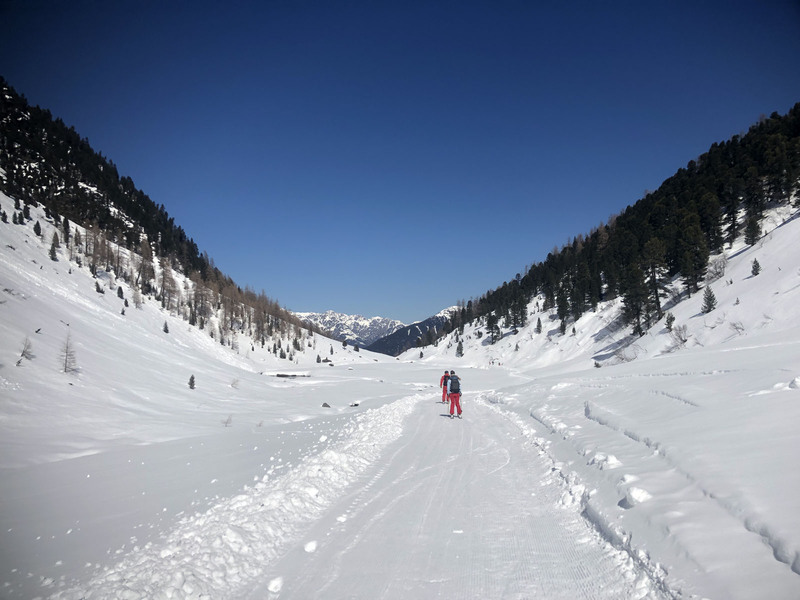 Italy is host to some top luxury ski hotels for your après ski pampering and pleasure.